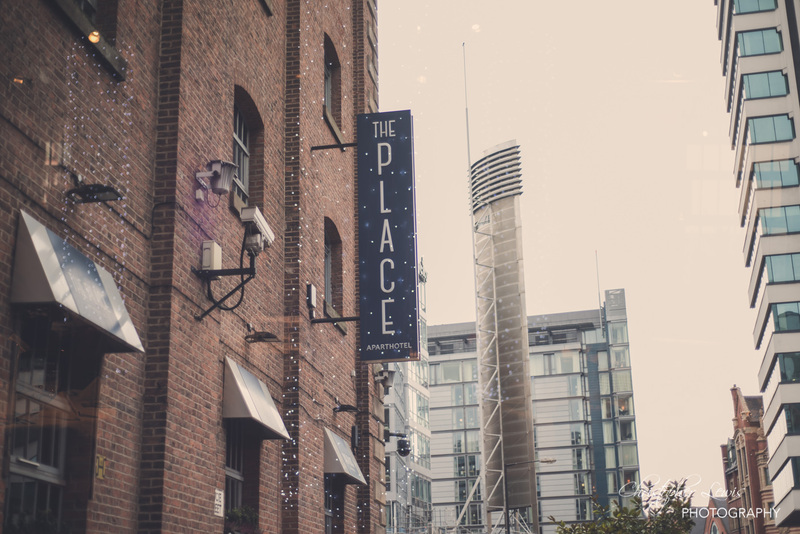 The Place in Manchester was the setting for Chris and Rachael’s big day. 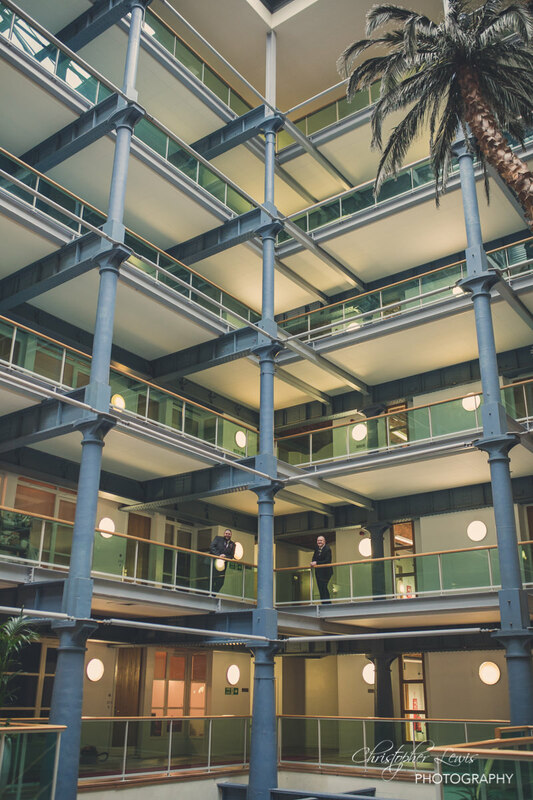 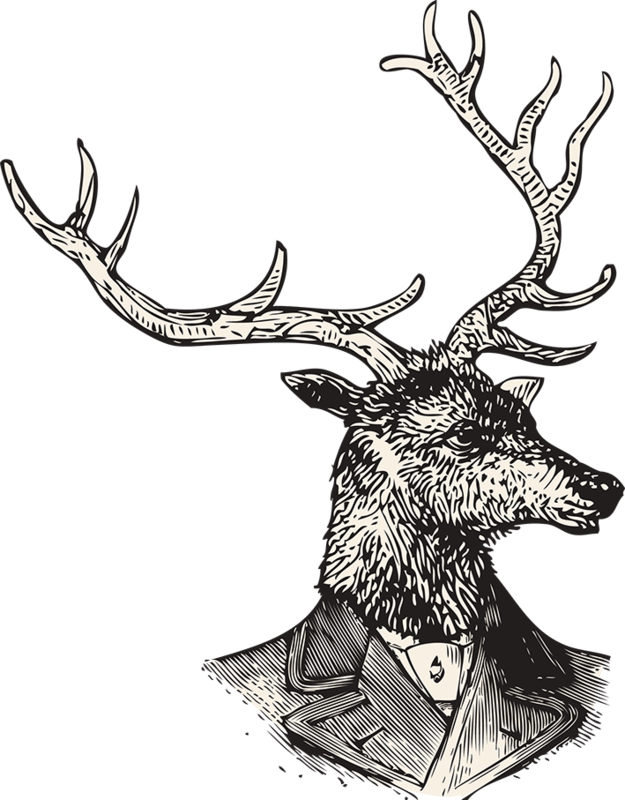 A former railway warehouse in the heart of the Northern Quarter, its blend of ironwork and exposed brick set the perfect scene for the day. Being February, we knew the daylight (or lack of) would cut short any time outside for us, so utilising the interior was a must. 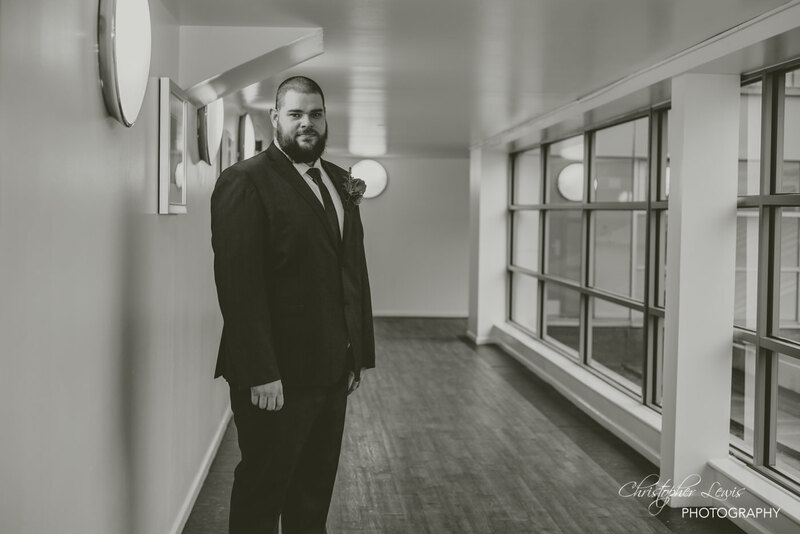 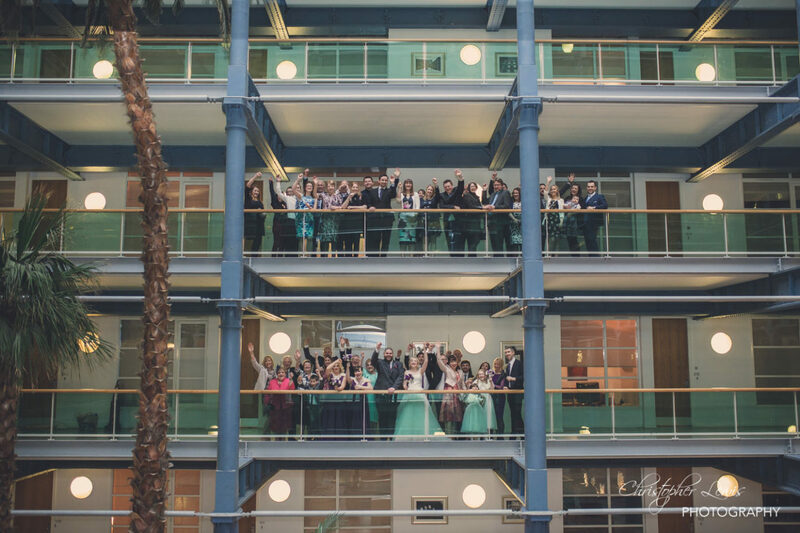 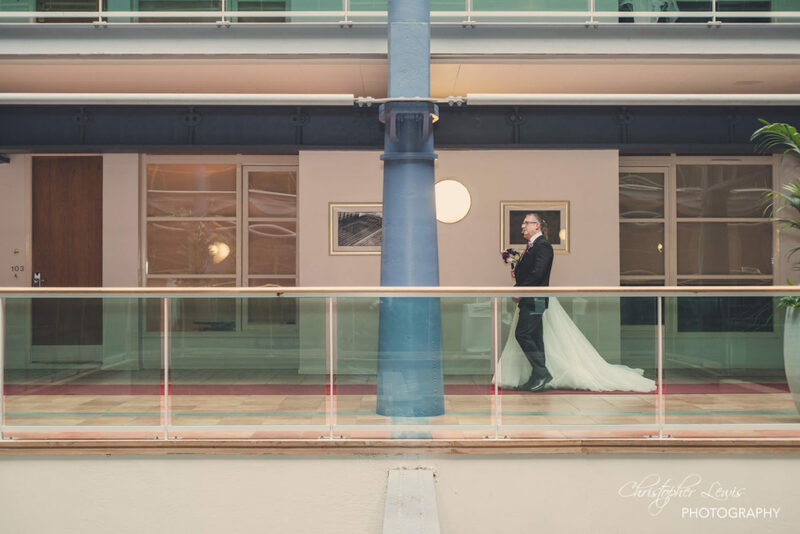 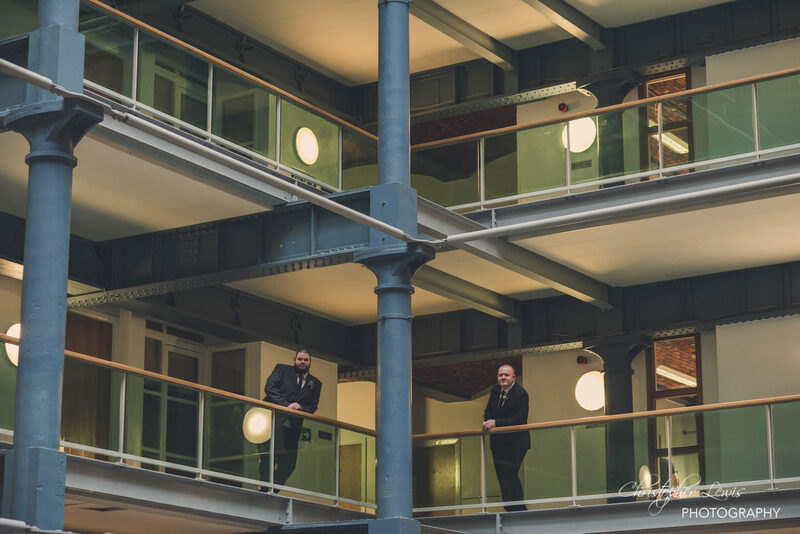 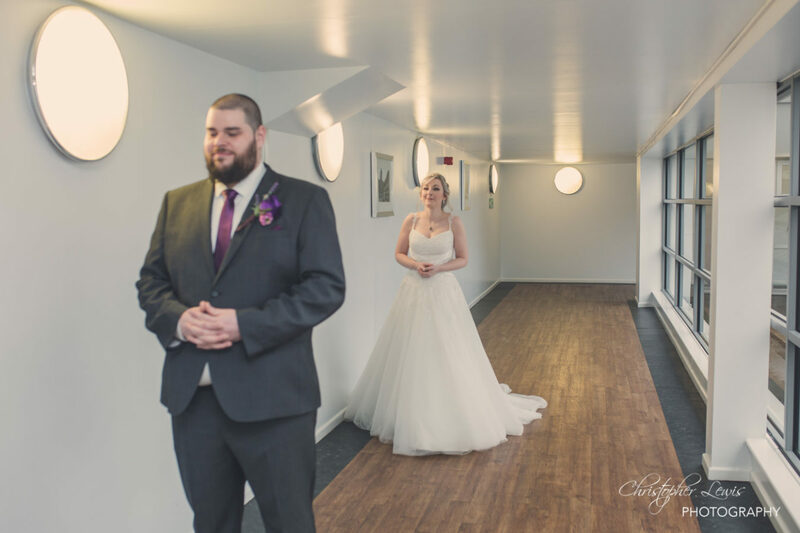 The inside of the building gave us loads of opportunity for posed portraits, however my favourite shots from the day are the natural moments on what was a truly relaxed wedding day! 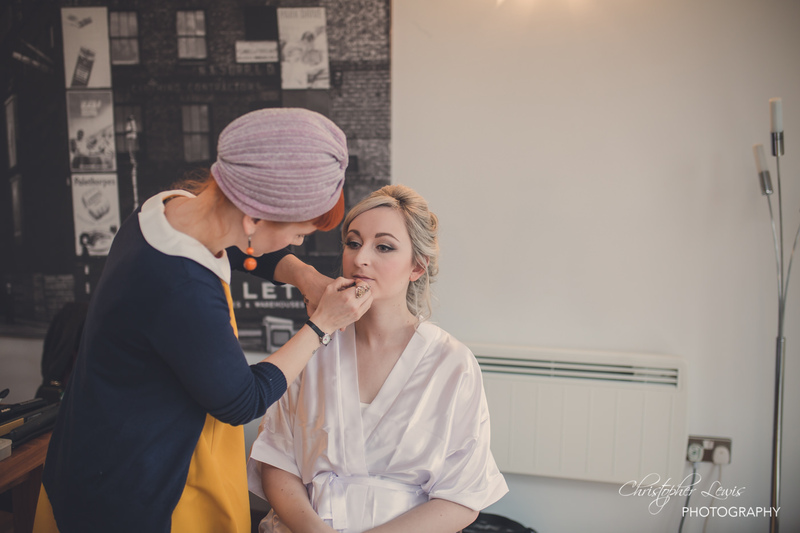 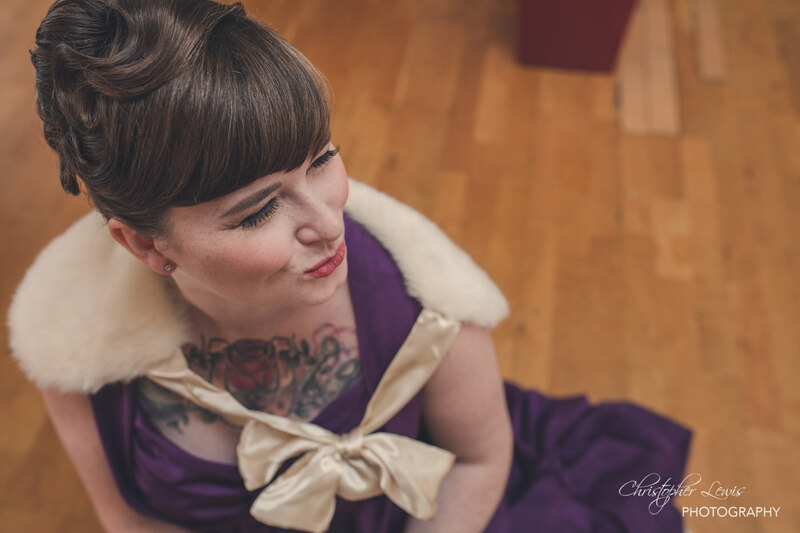 Rachael was made up by the lovely Ewa at Baberska Hair and Makeup, which was an a amazing match for the vintage styling to the day. 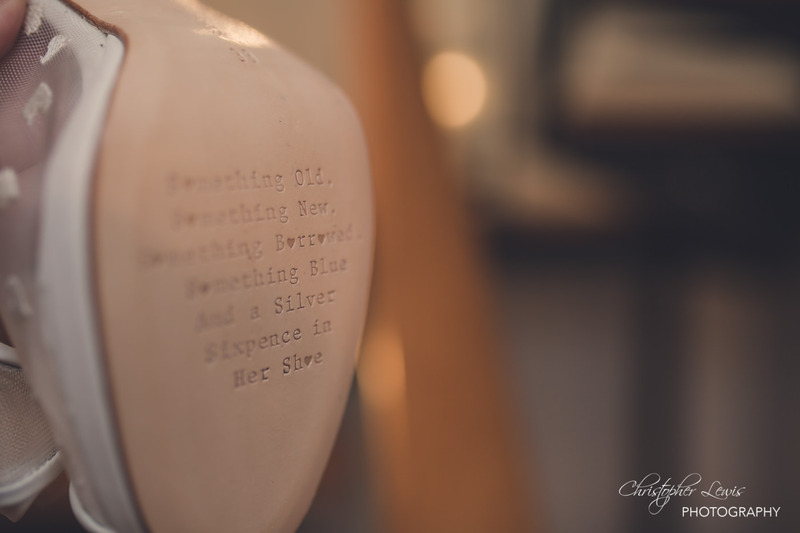 Teamed with Charlotte Mills shoes (complete with original silver sixpence!) 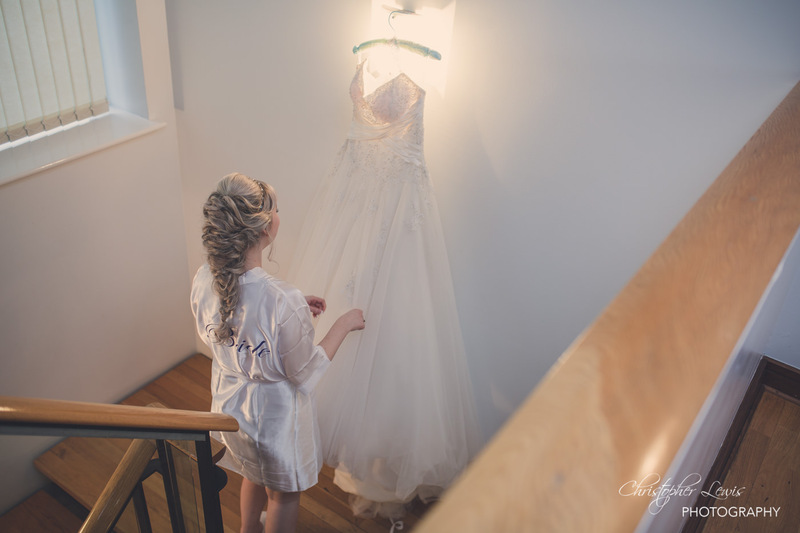 and a classic dress from Dorothy Rose Bridal, our bride was ready to make an entrance. 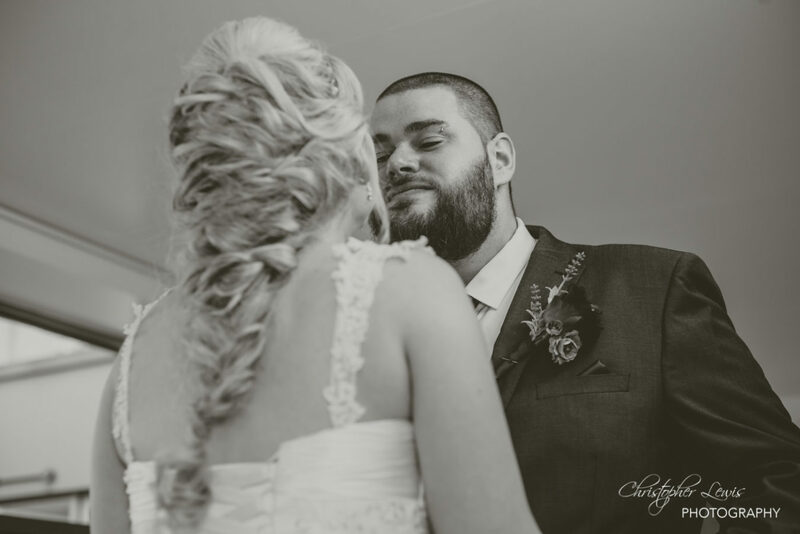 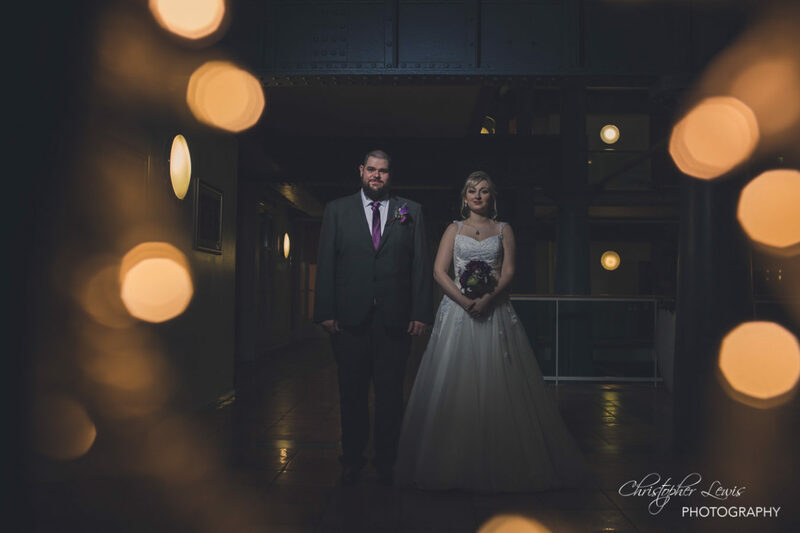 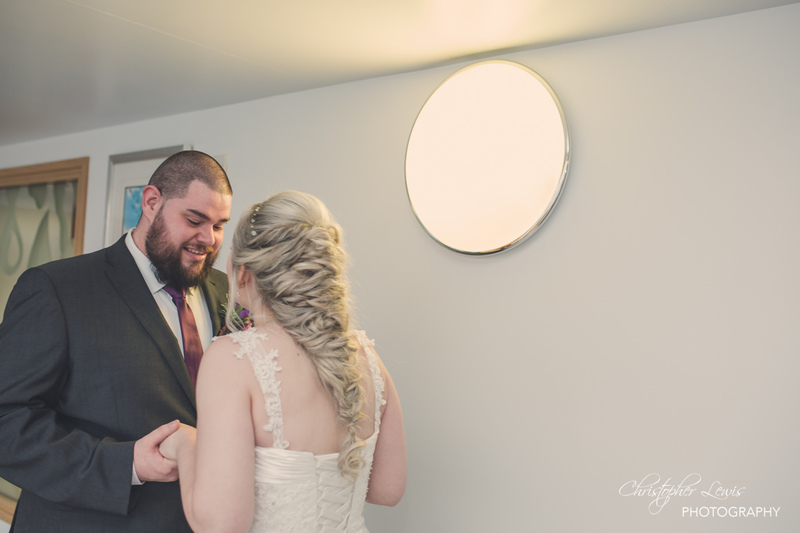 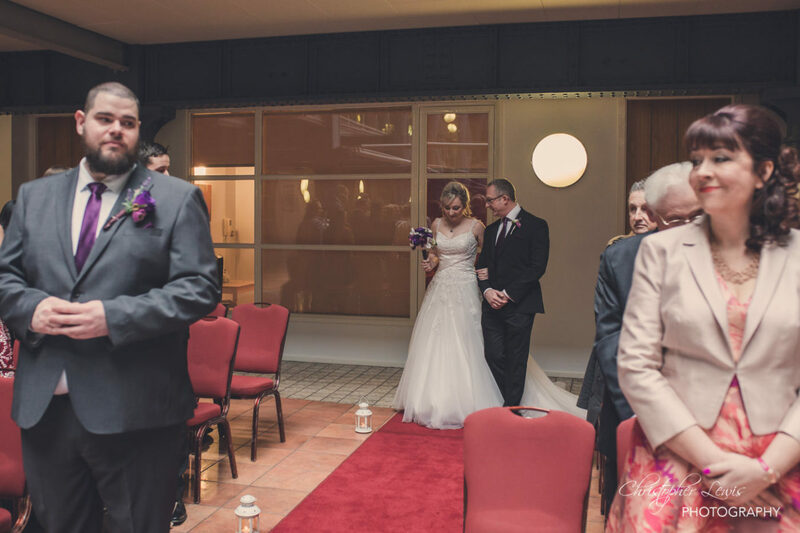 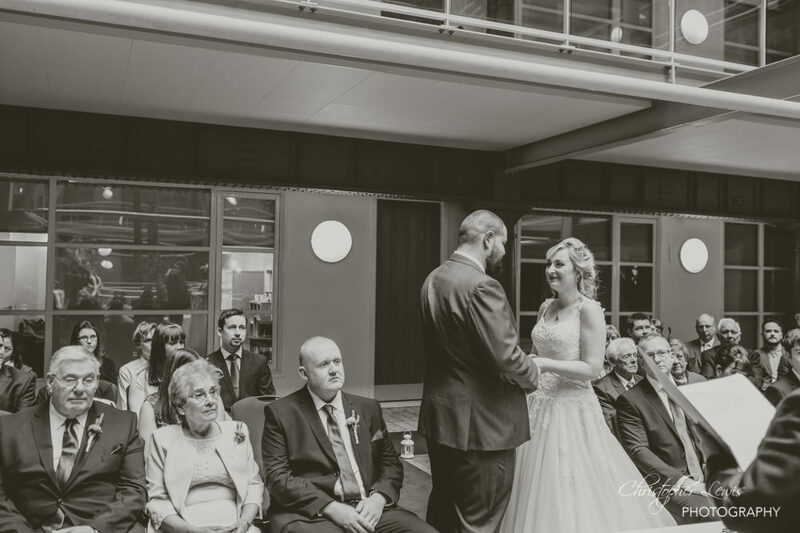 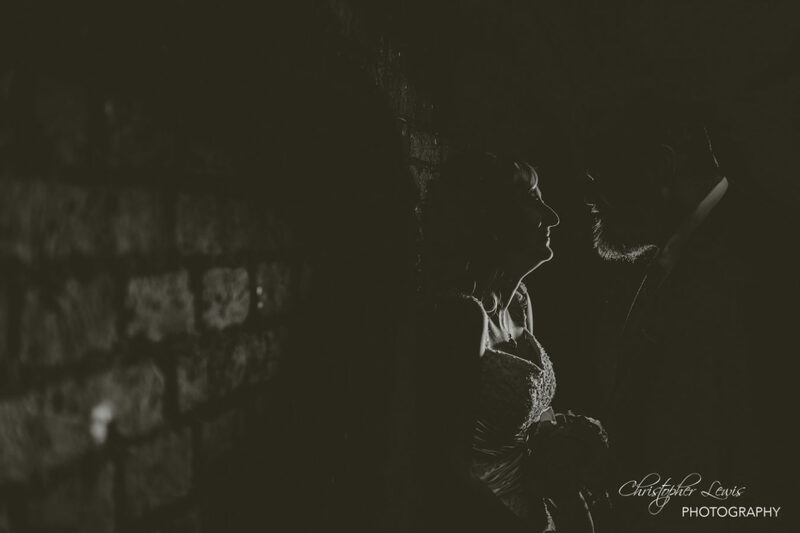 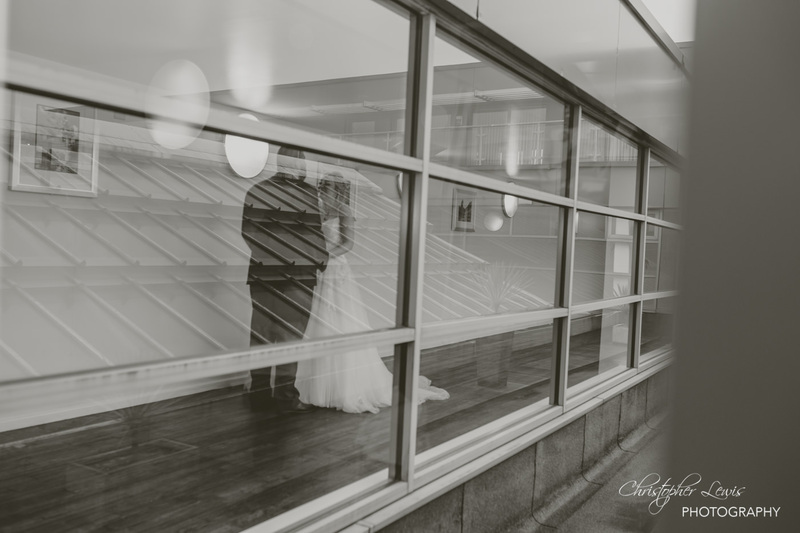 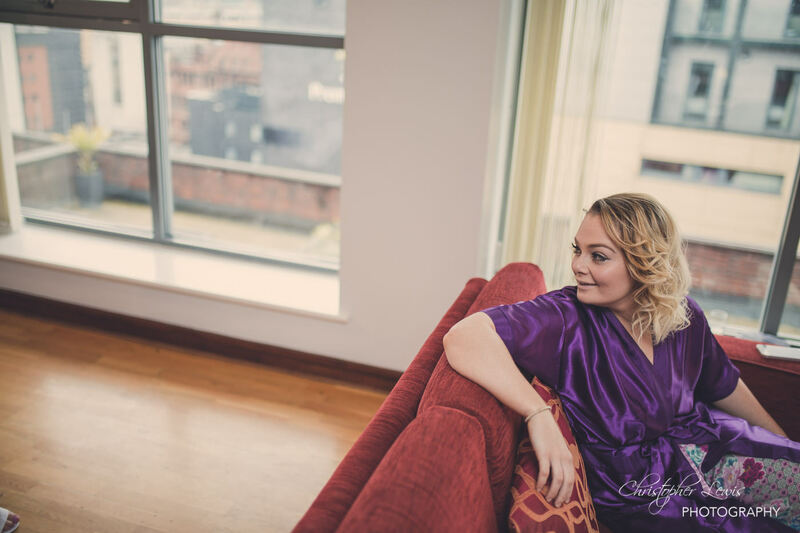 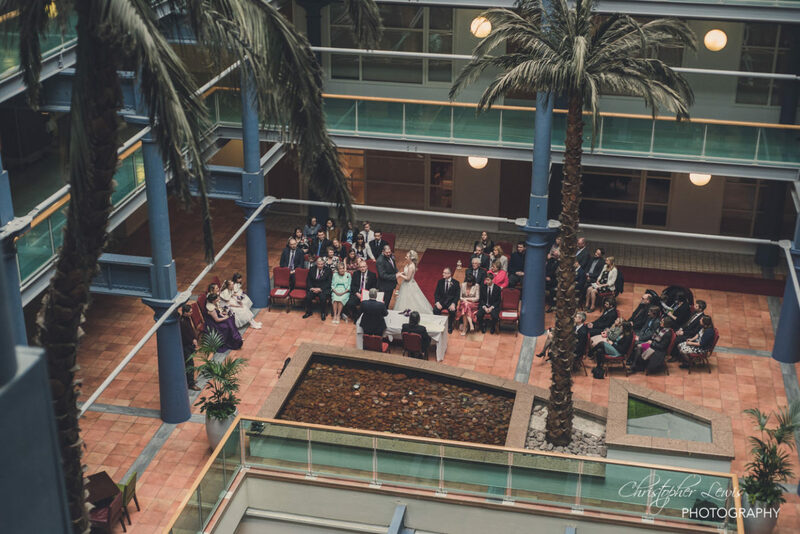 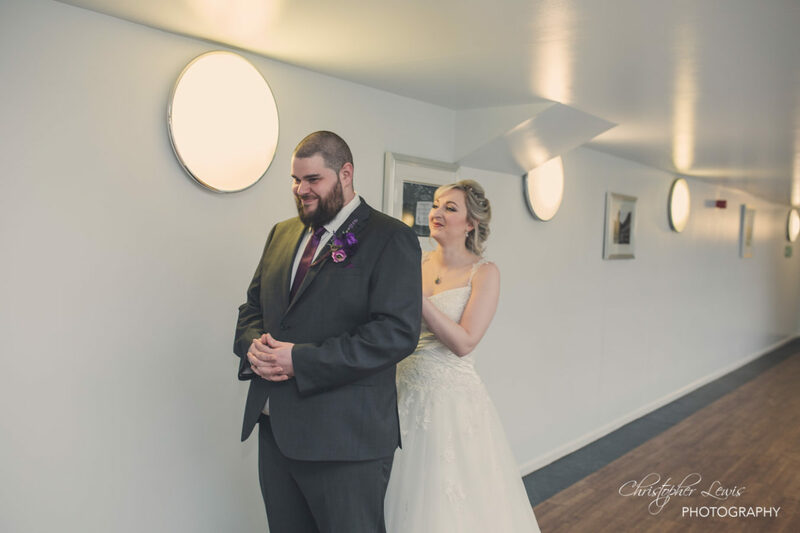 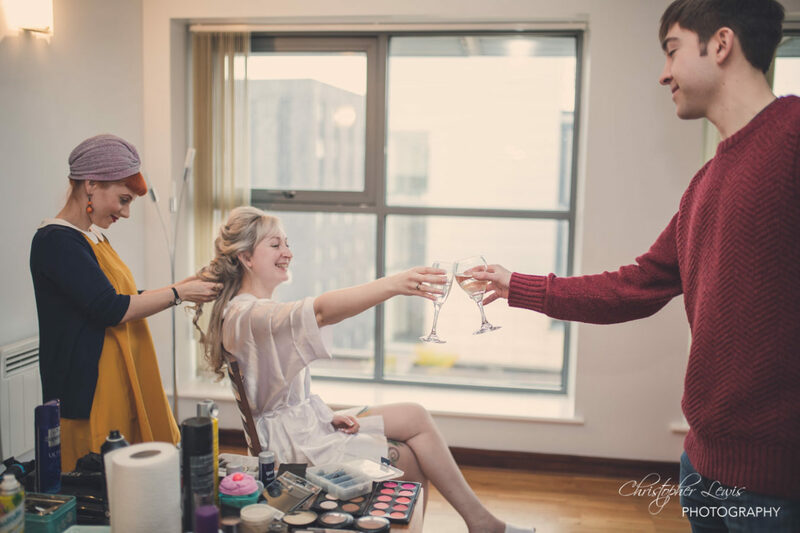 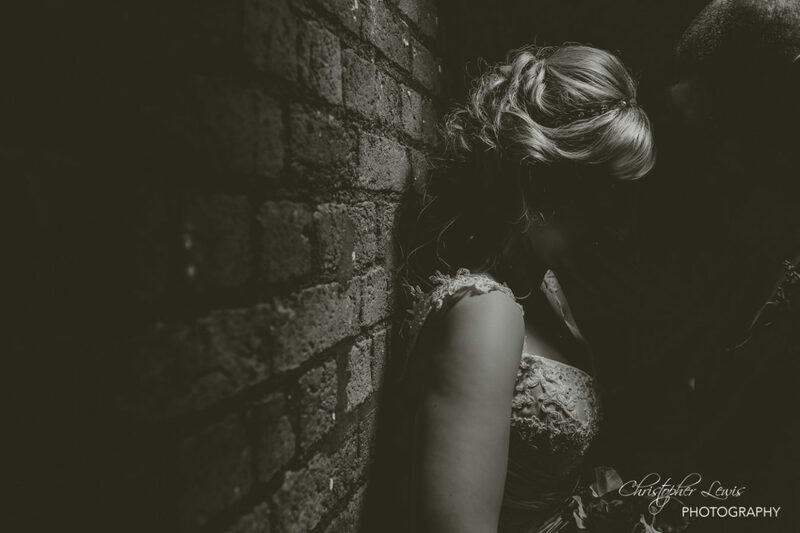 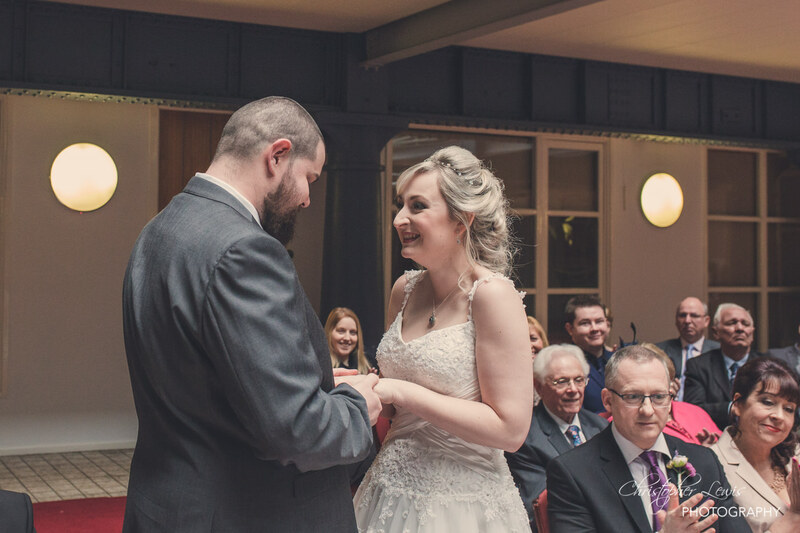 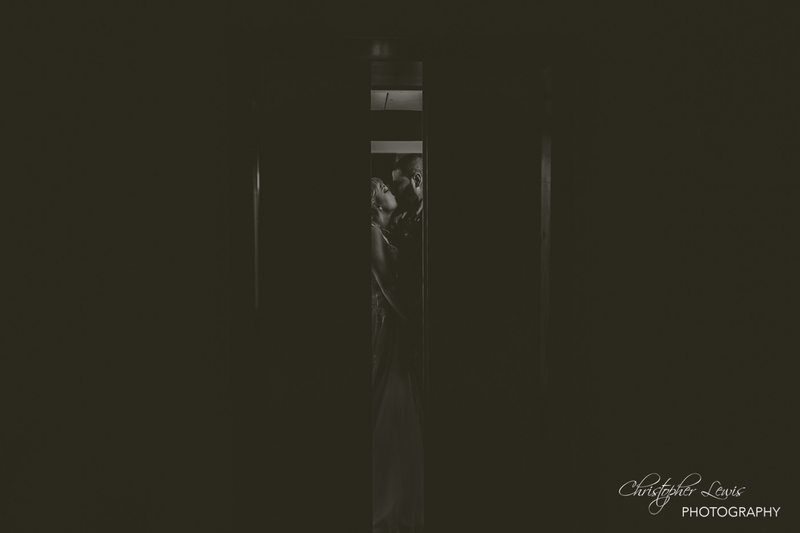 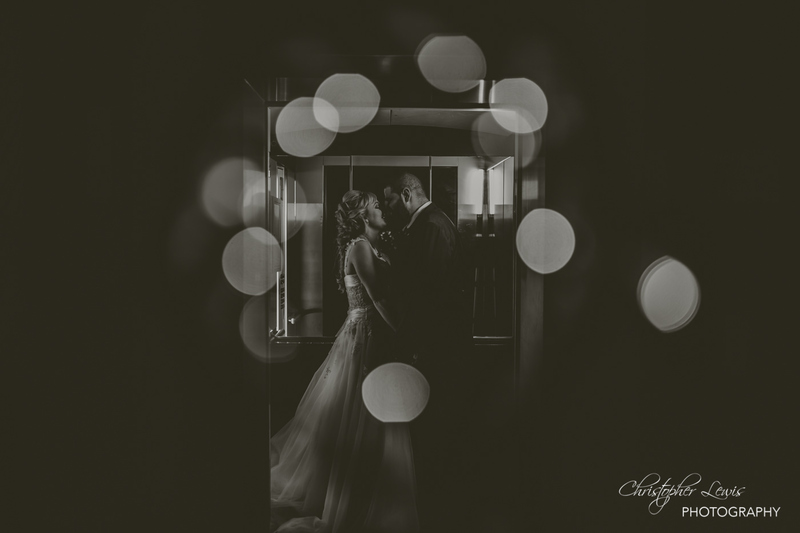 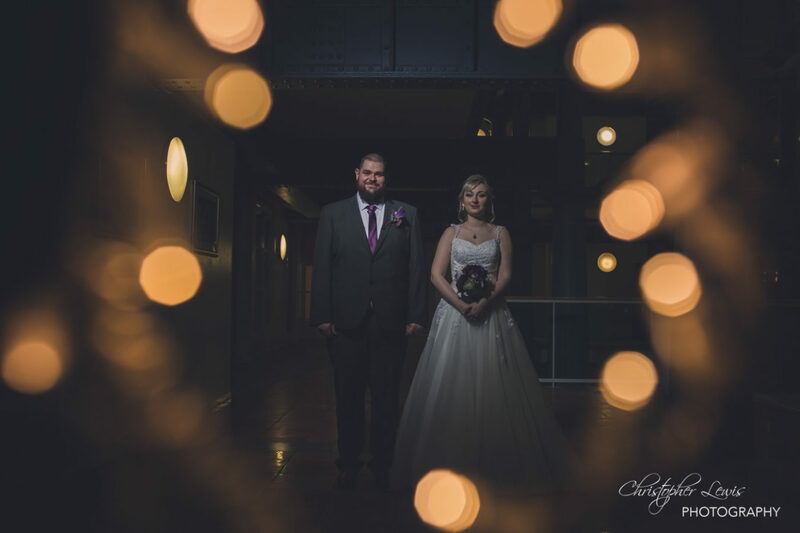 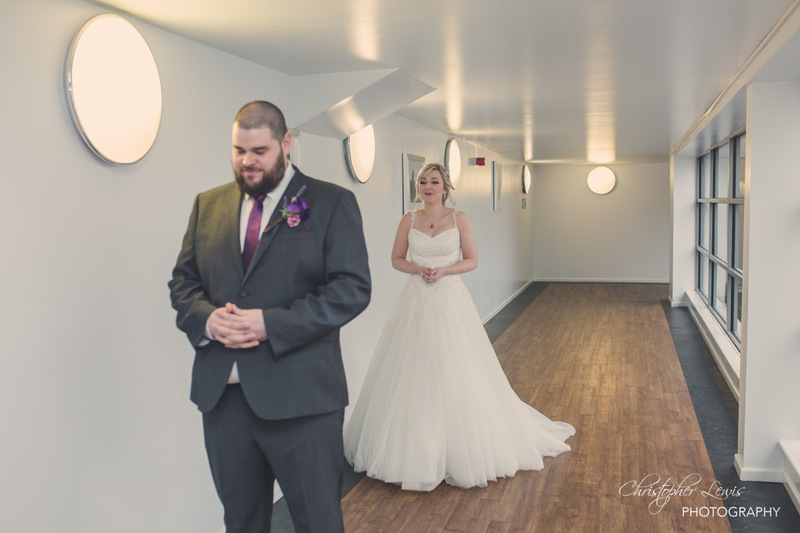 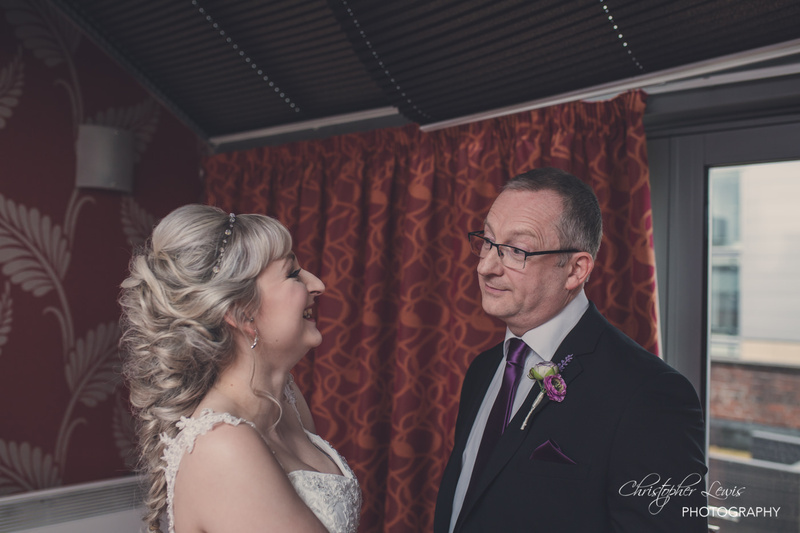 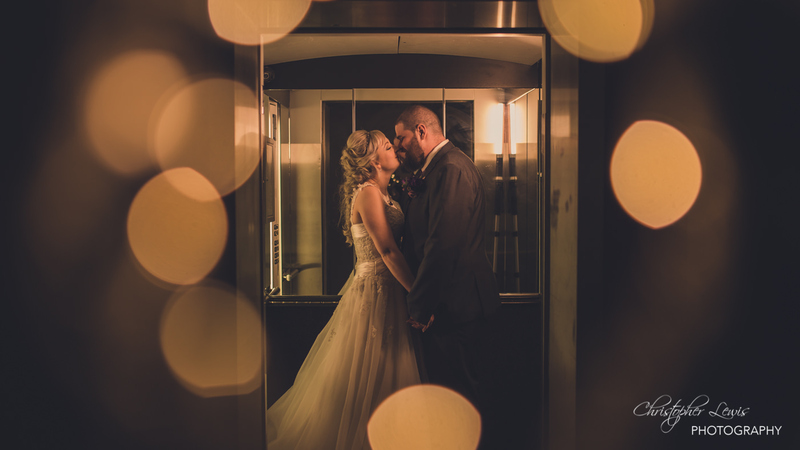 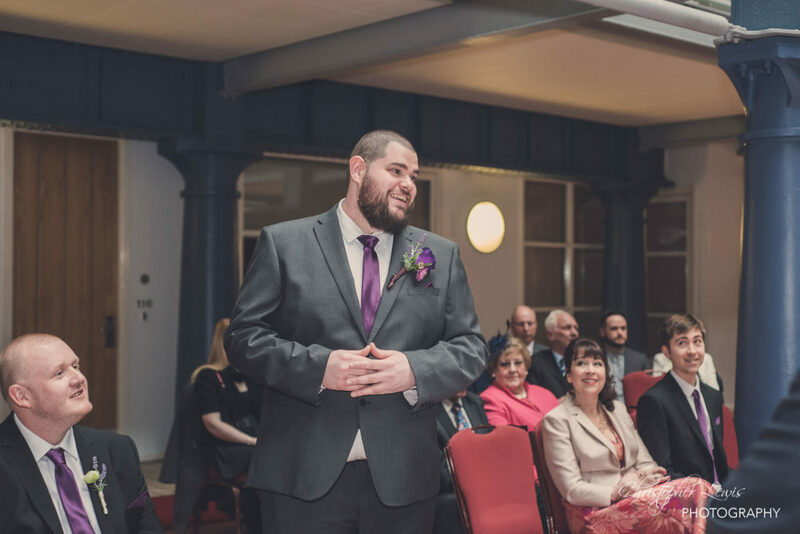 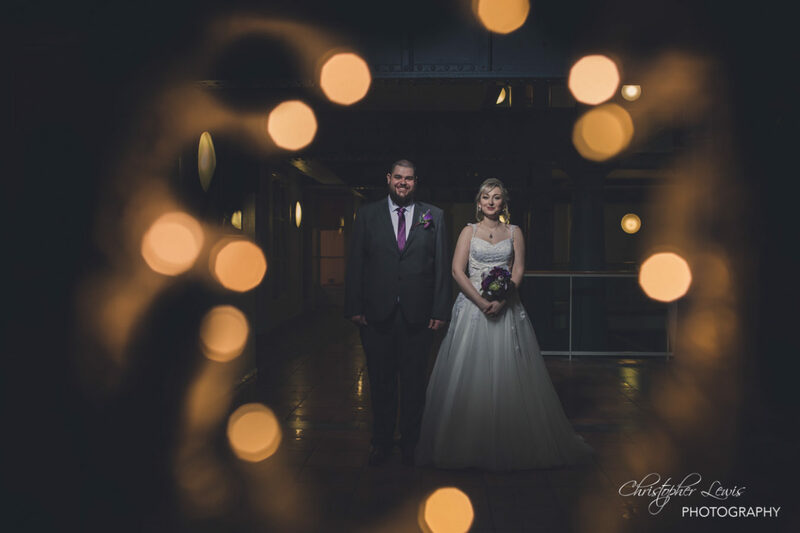 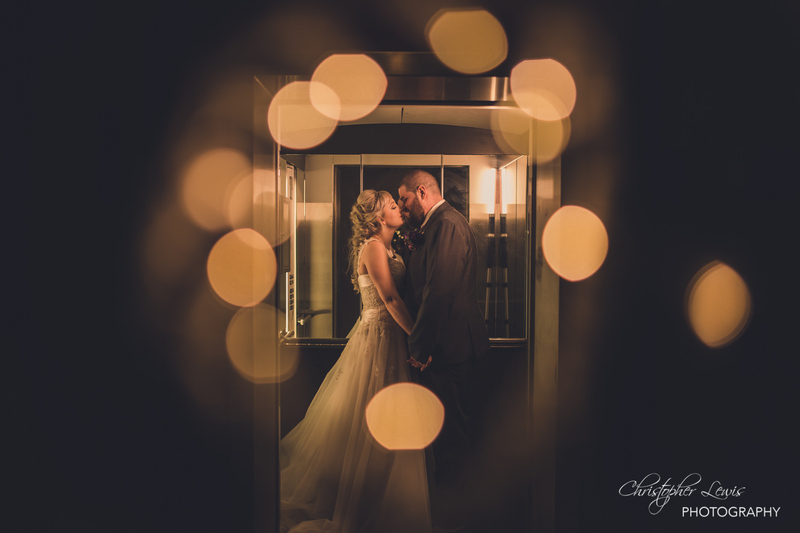 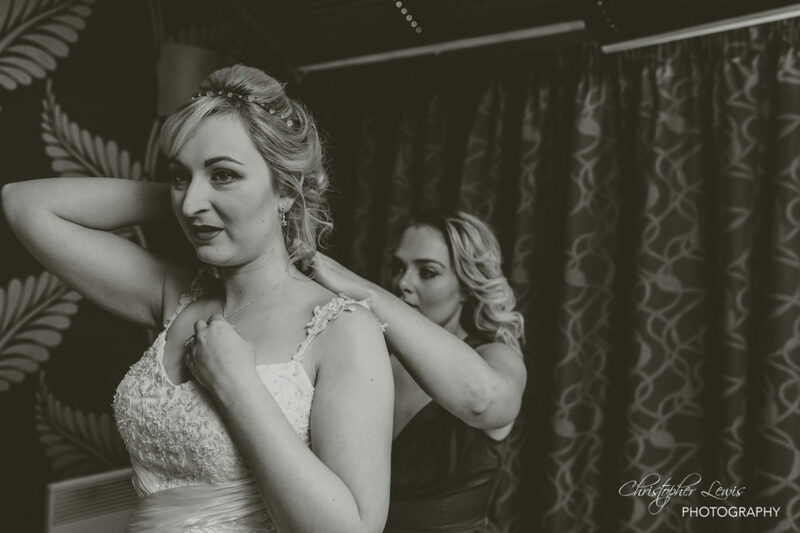 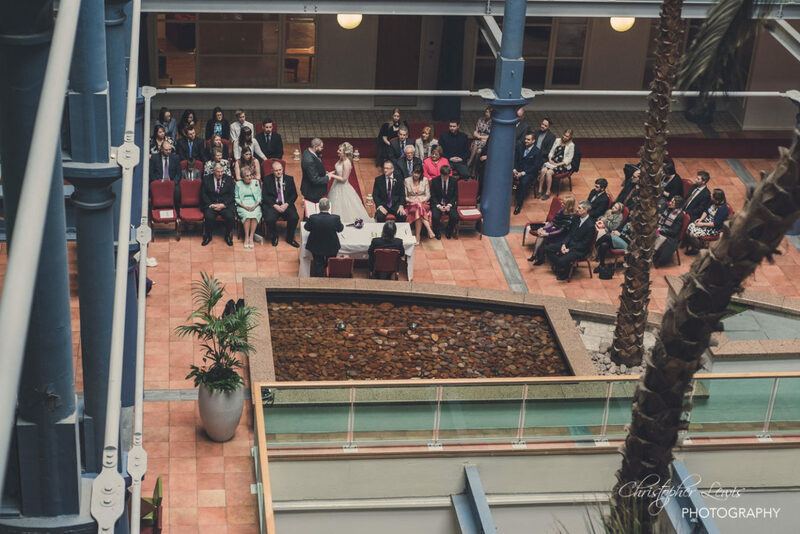 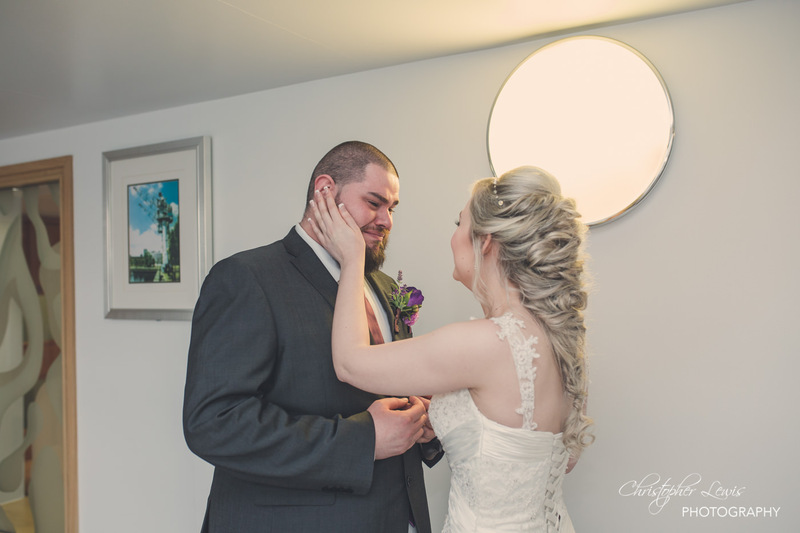 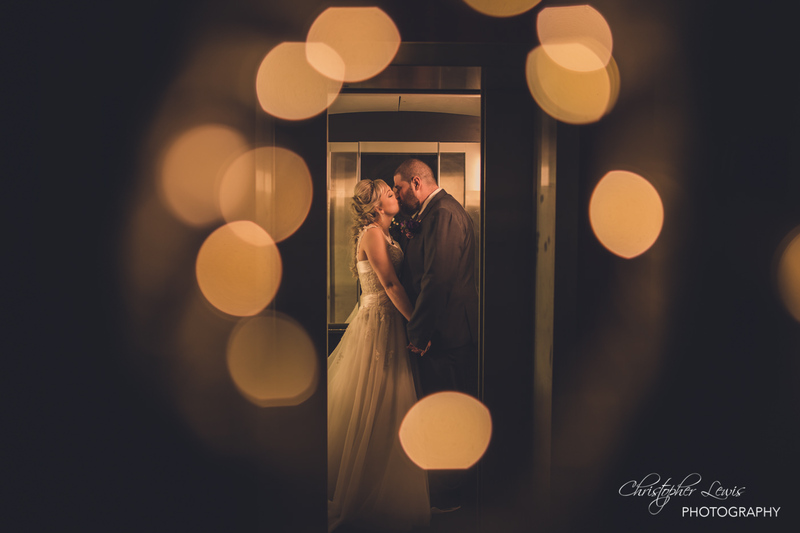 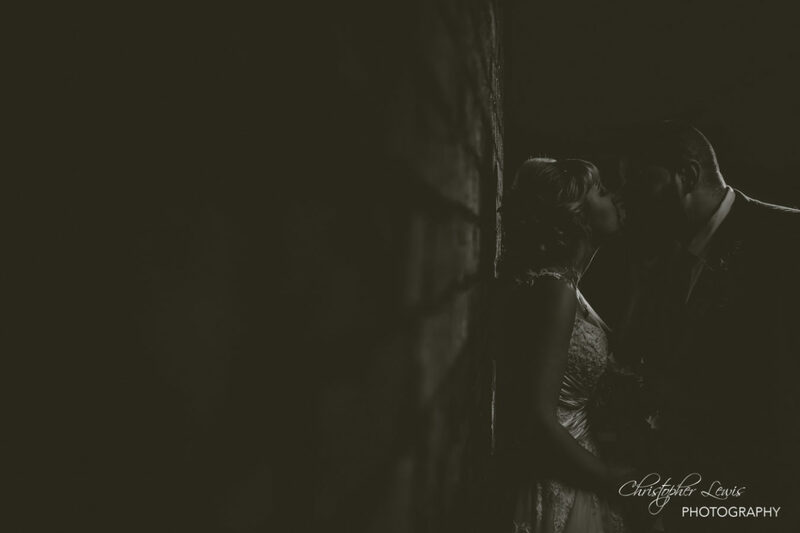 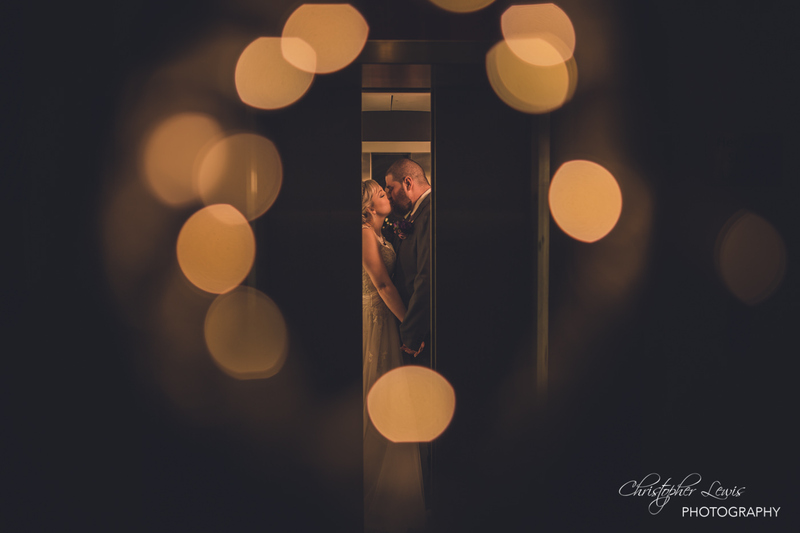 Rachael loved the idea of a ‘first look’ (Chris took some gentle persuasion from his wife-to-be) which meant they could see each other for the first time before the ceremony. 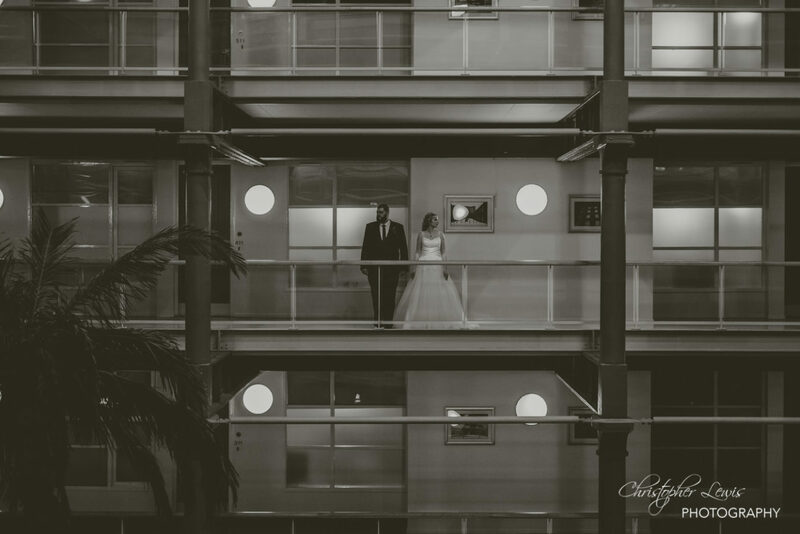 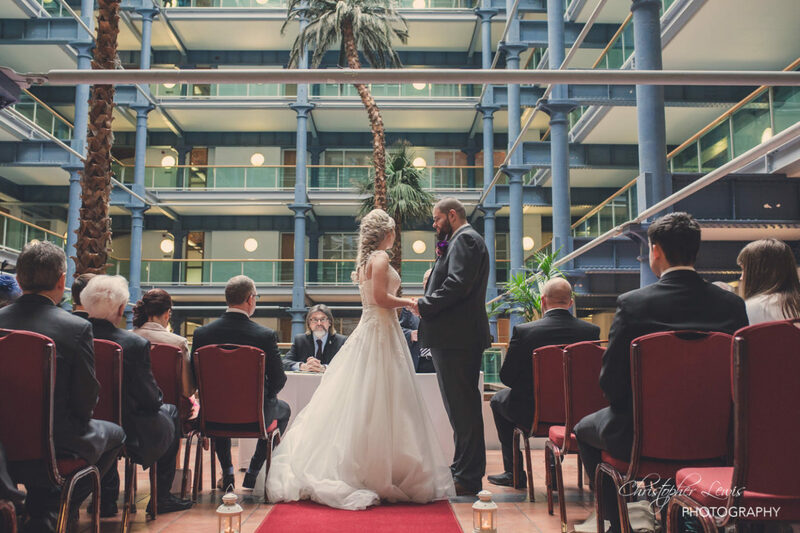 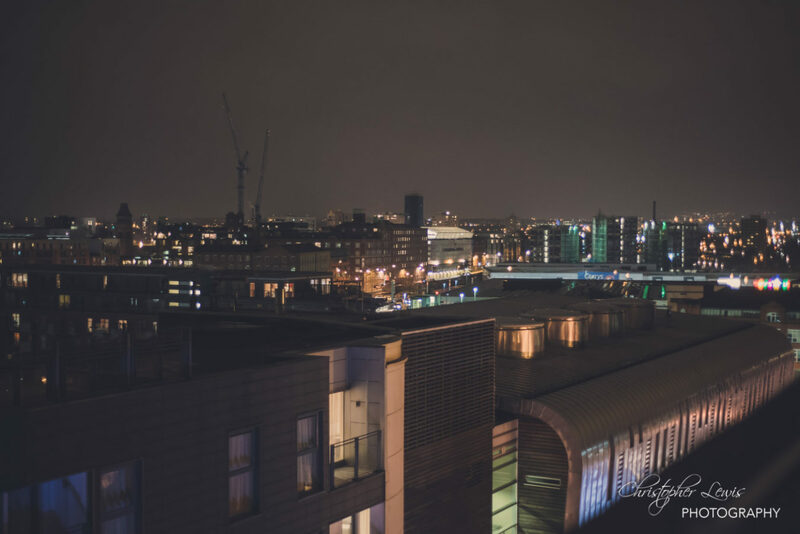 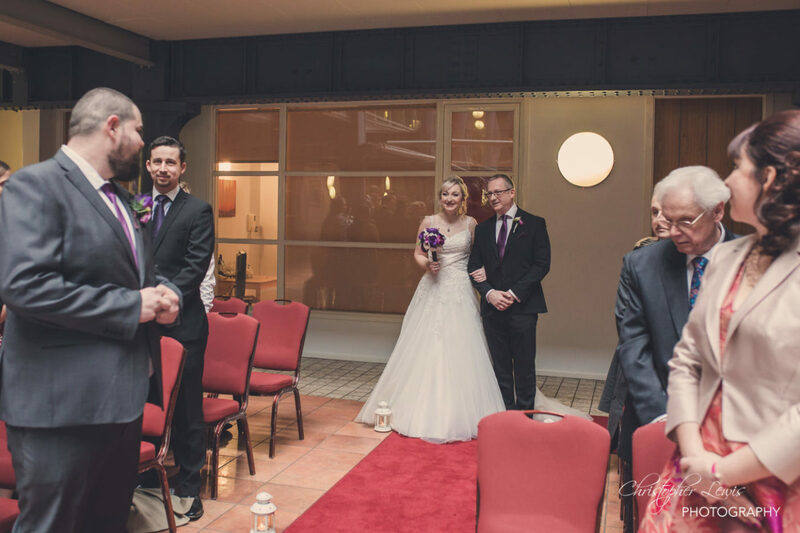 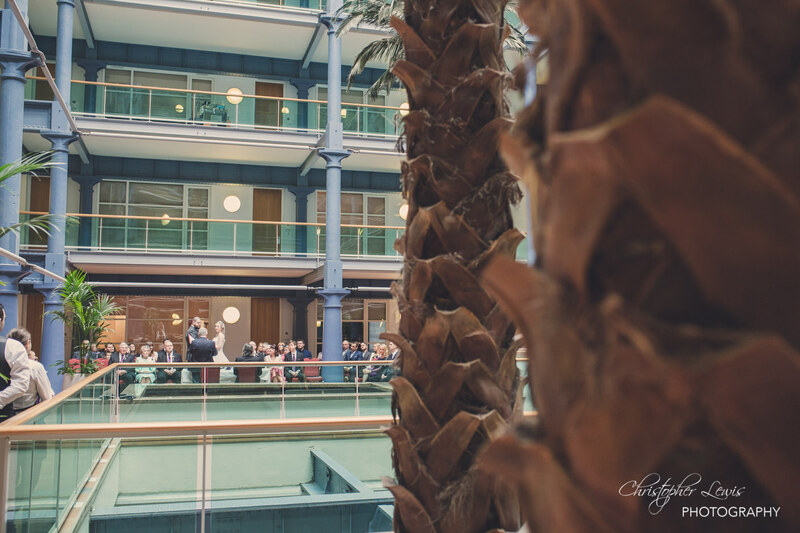 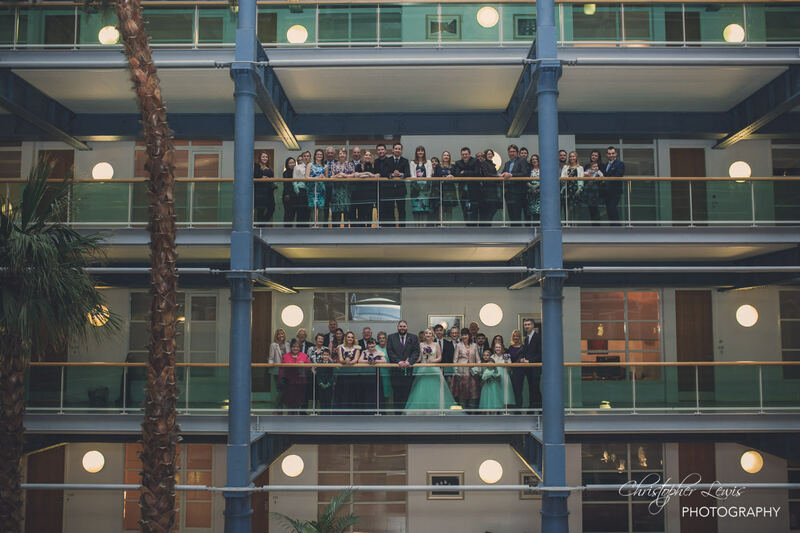 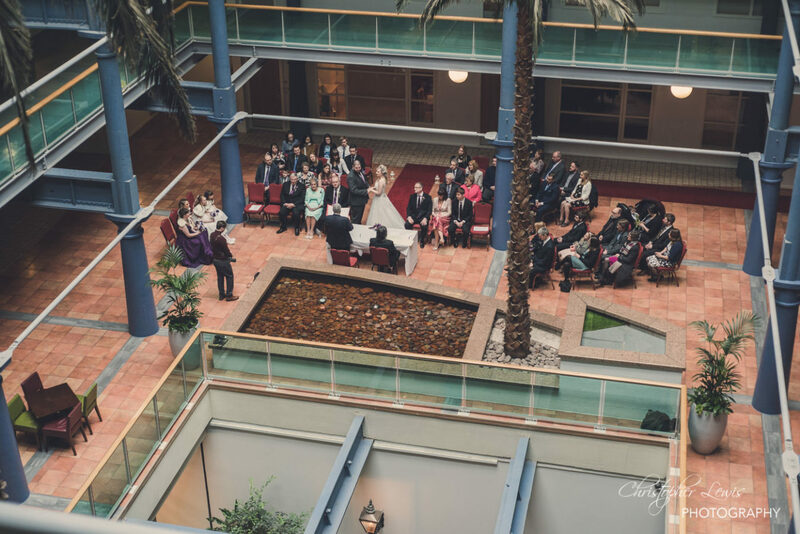 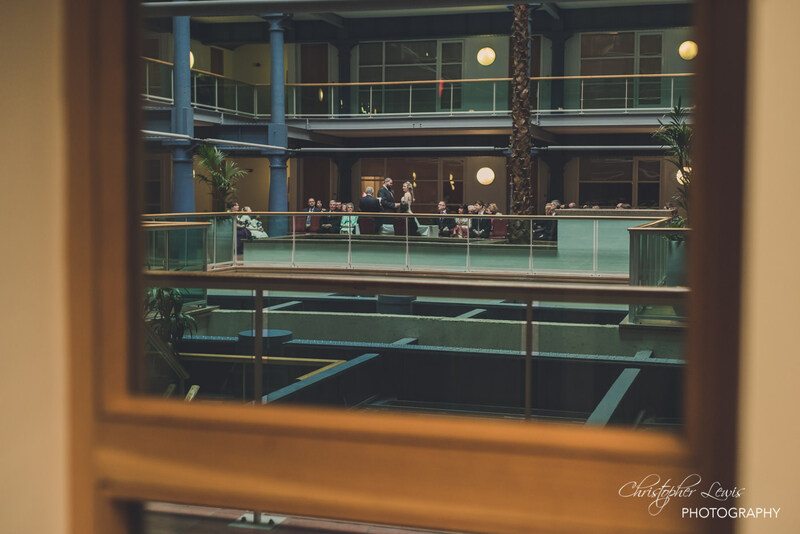 The moment was incredible, simply placed in an open corridor on one of the upper floors of the Manchester hotel. 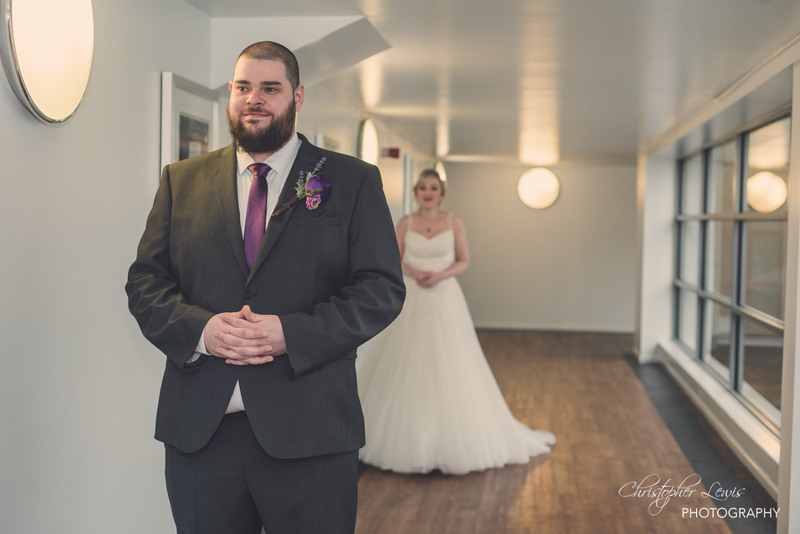 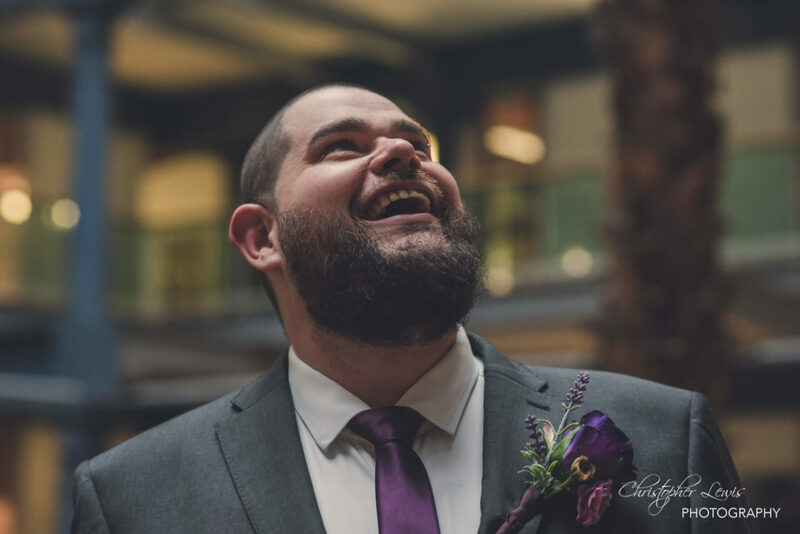 With Chris’ back to his bride, we captured all of the emotions and build up of the groom turning around to see his future wife for the first time in her dress. 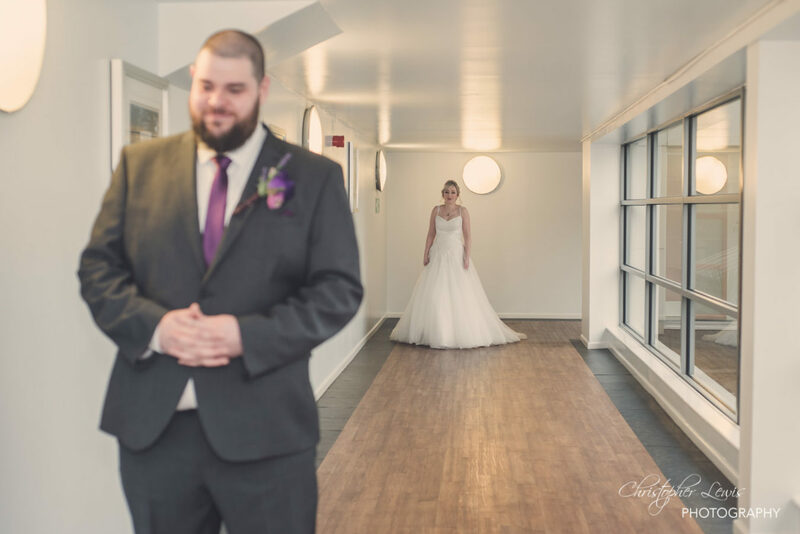 This moment genuinely gave me goosebumps! 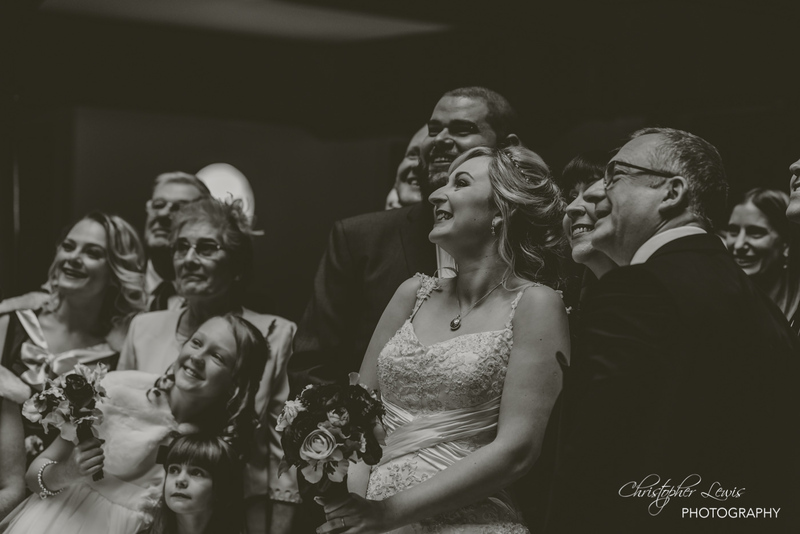 After a moment together, the groom headed downstairs and took his place with the wedding party. 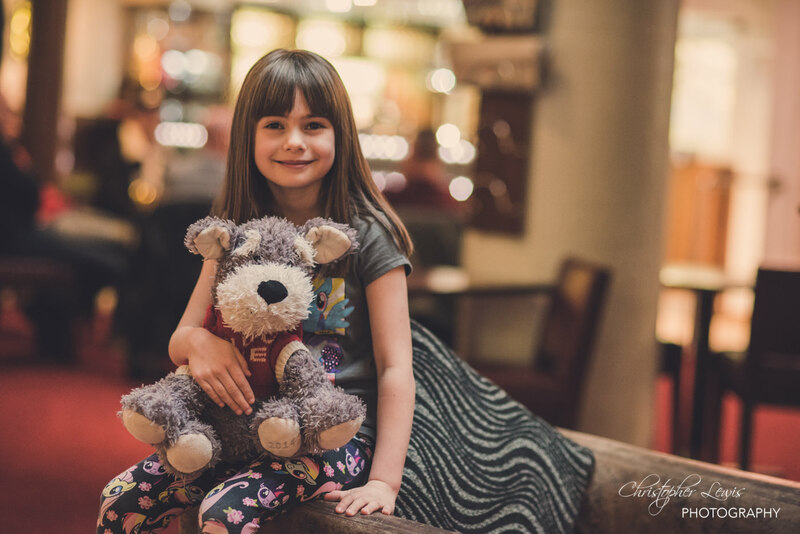 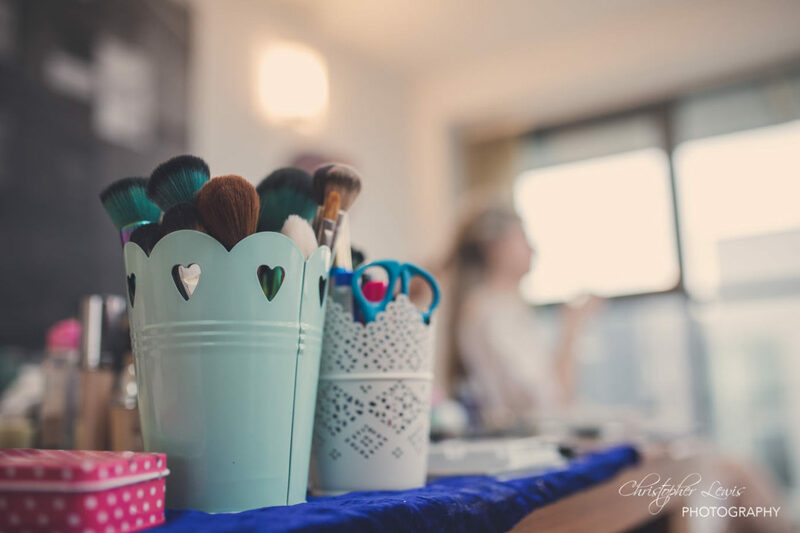 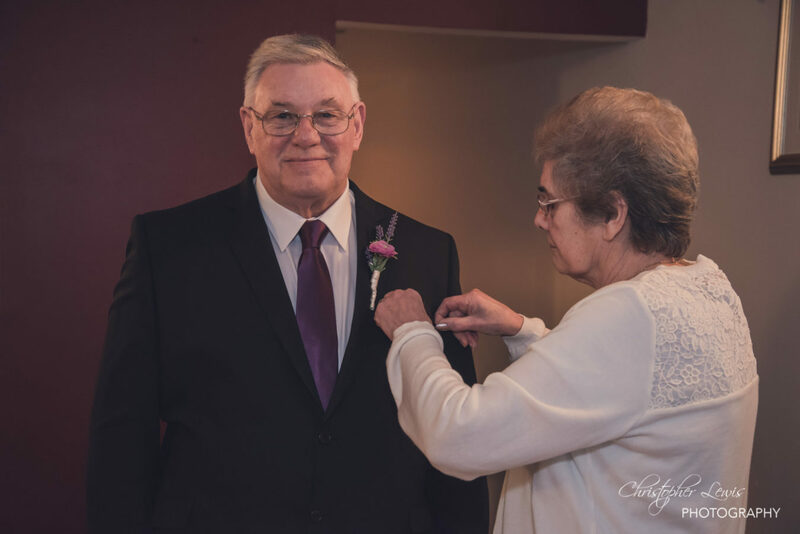 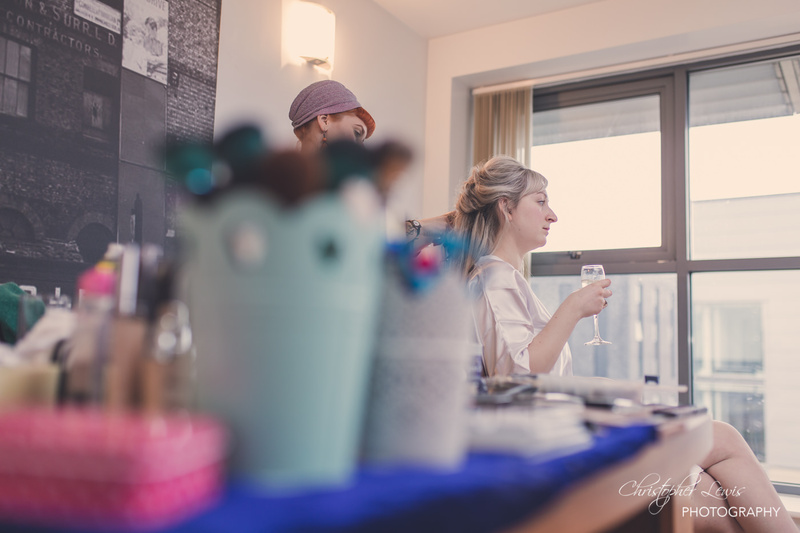 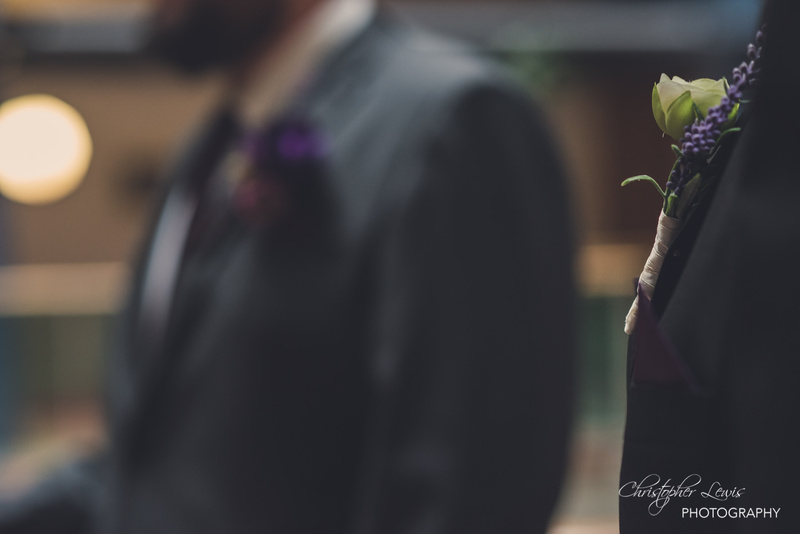 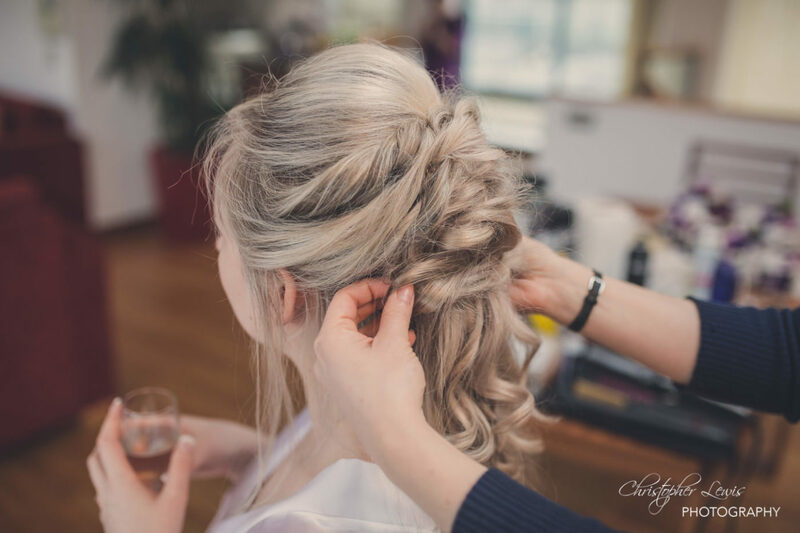 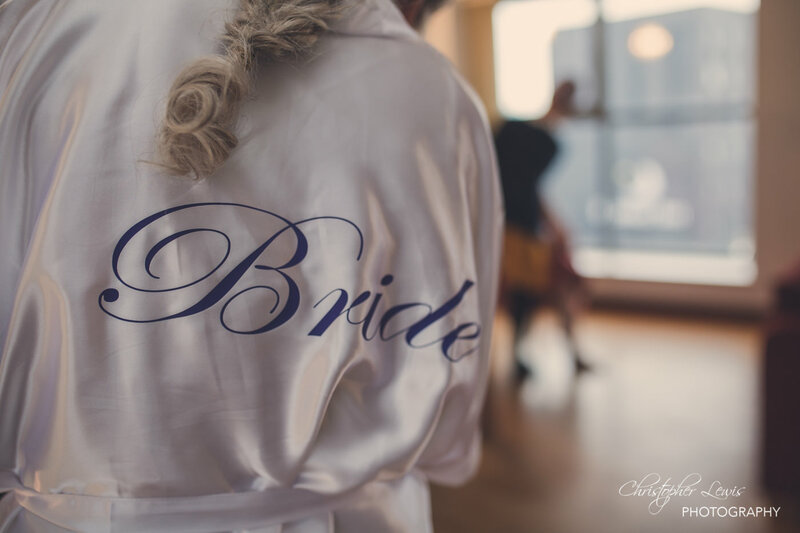 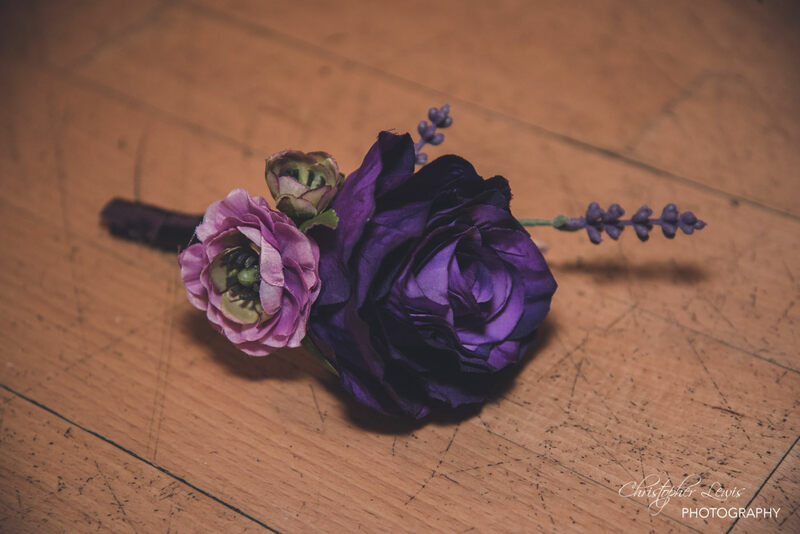 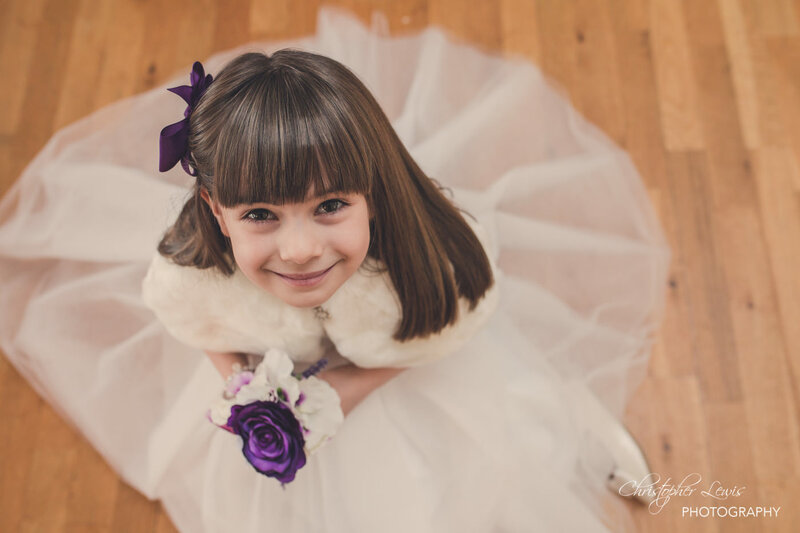 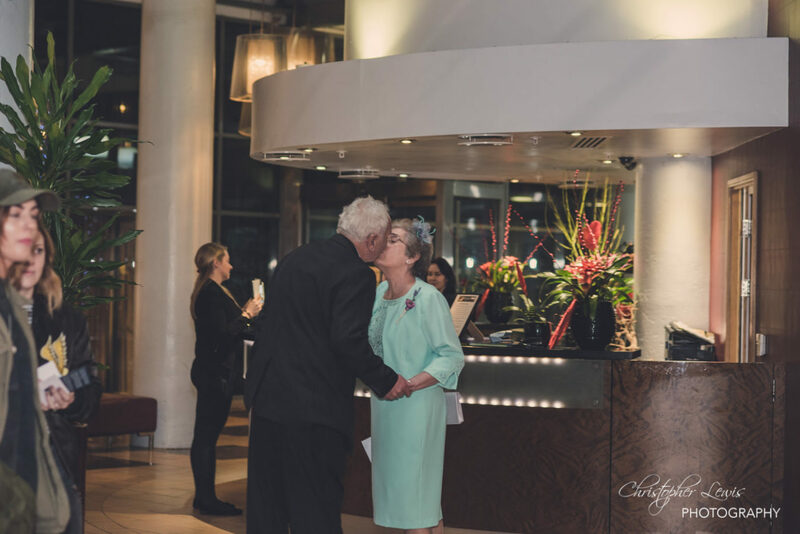 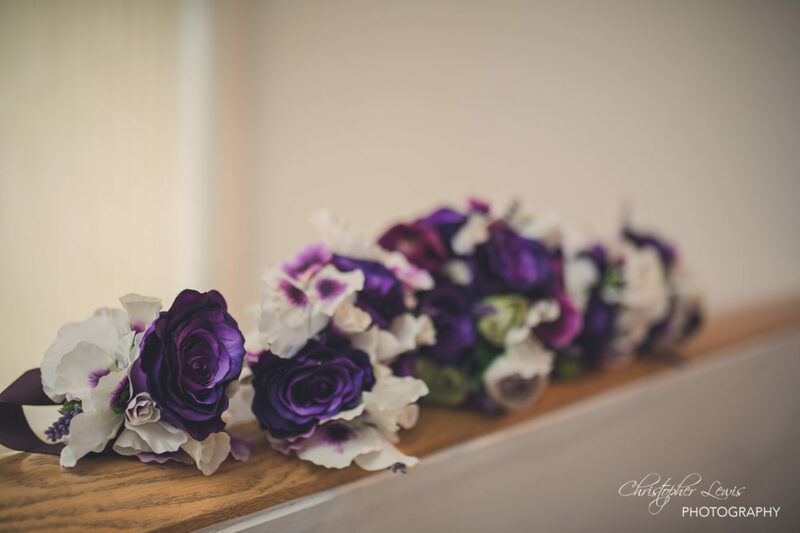 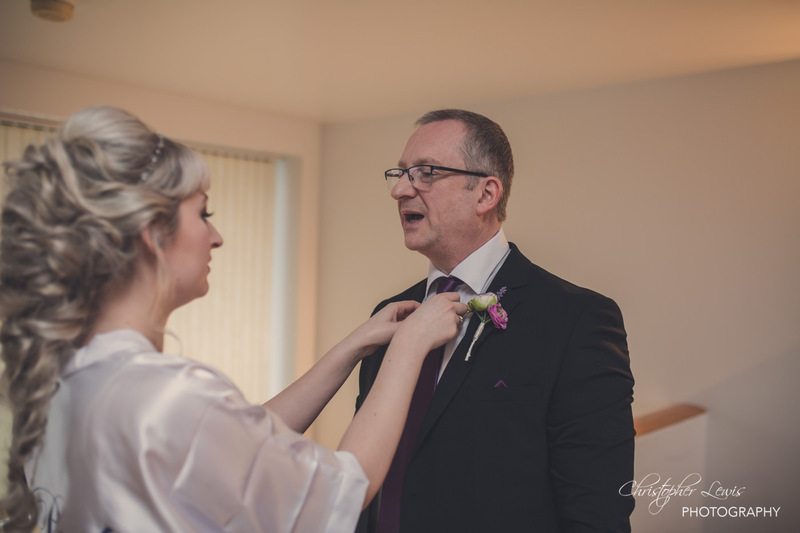 A wedding day passes so quickly, which is why we love capturing the little moments throughout the day. 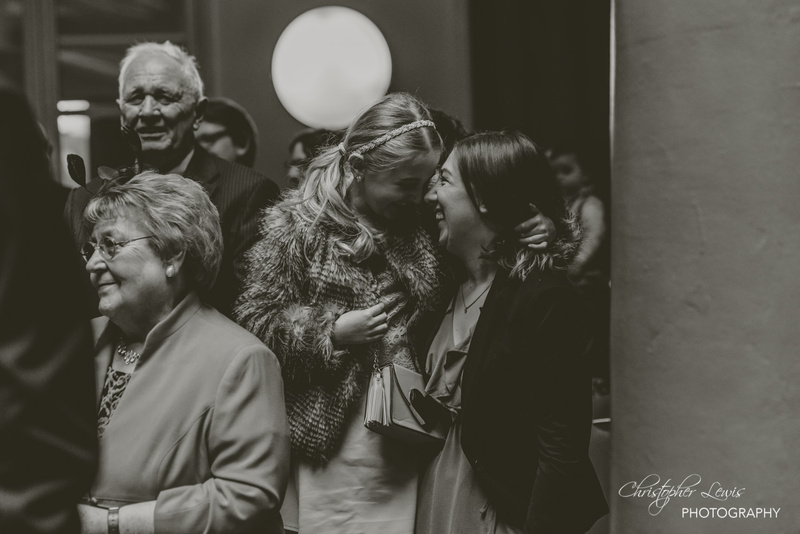 The inside light was perfect enough not to need flash, which helps when capturing candid snippets of the celebrations. 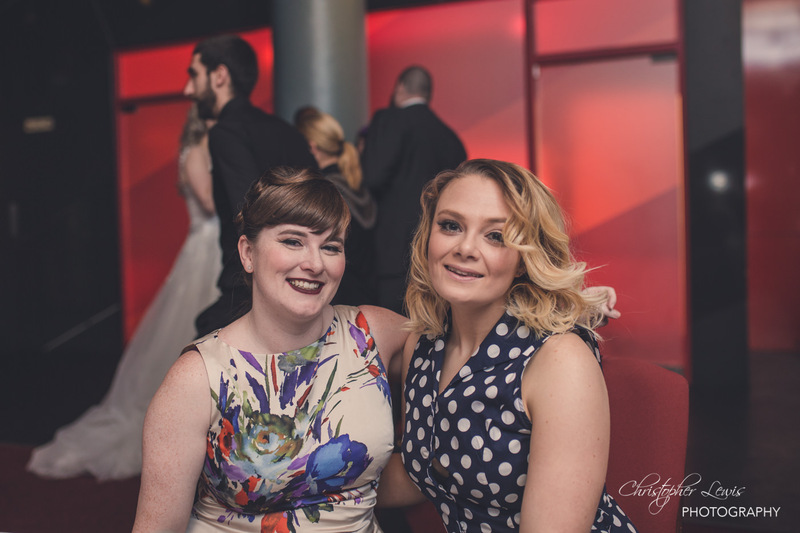 And of course as there were two of us we were able to take posed photos of guests/families on request. 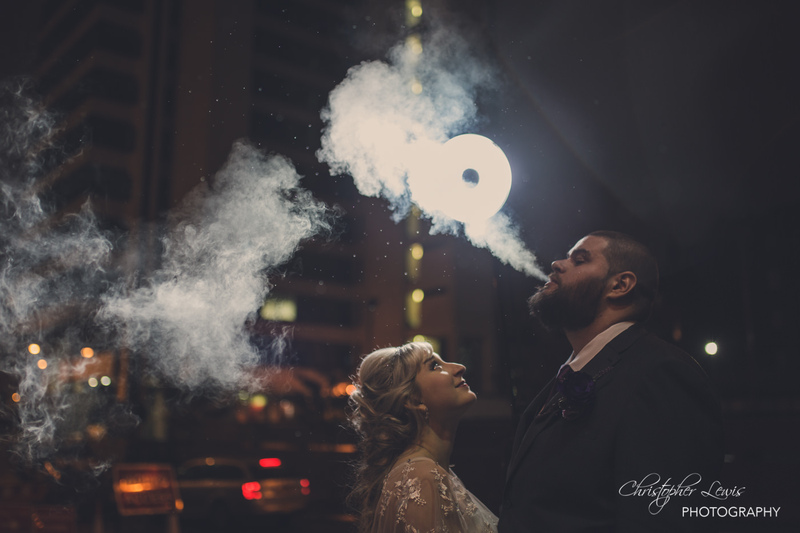 People often tell me they’re not a fan of traditional wedding pictures, and they want the more natural approach. 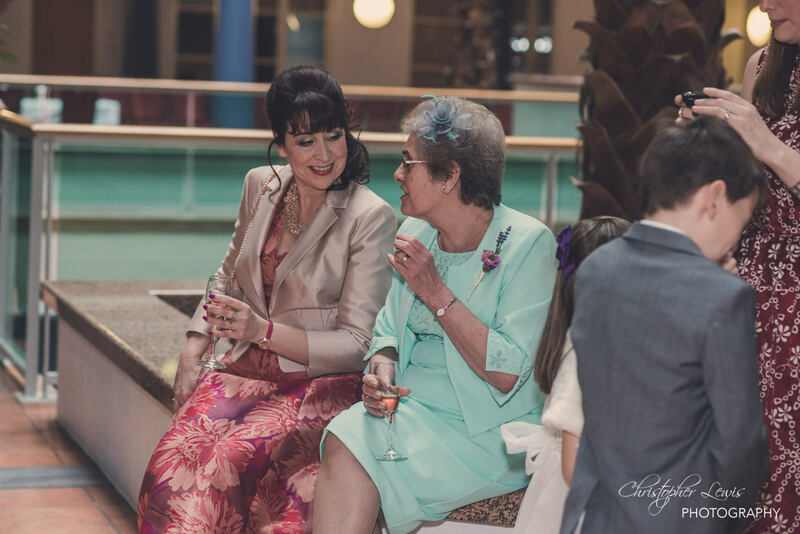 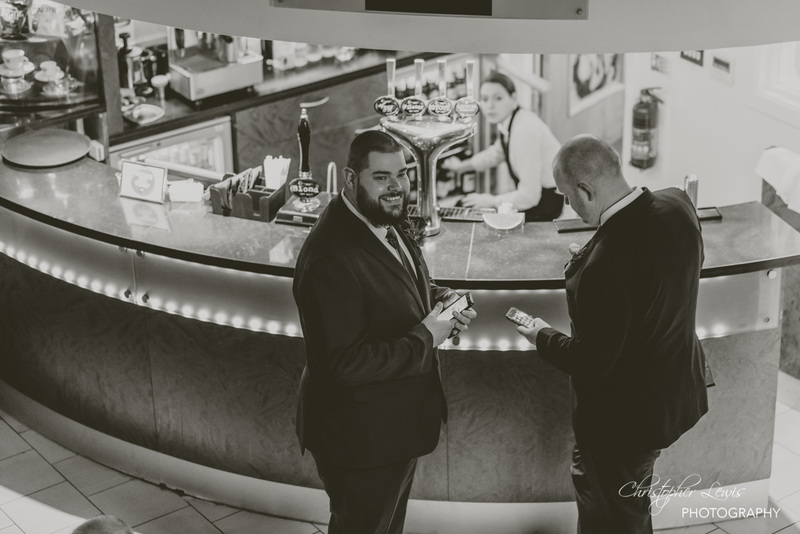 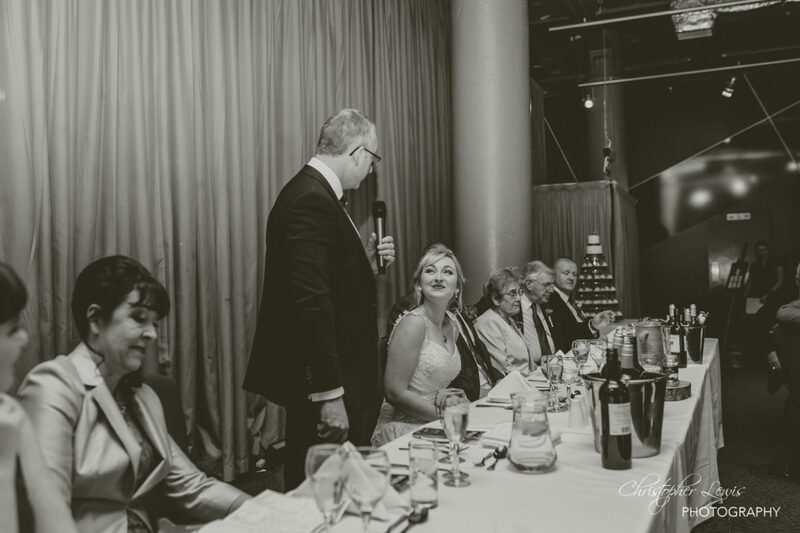 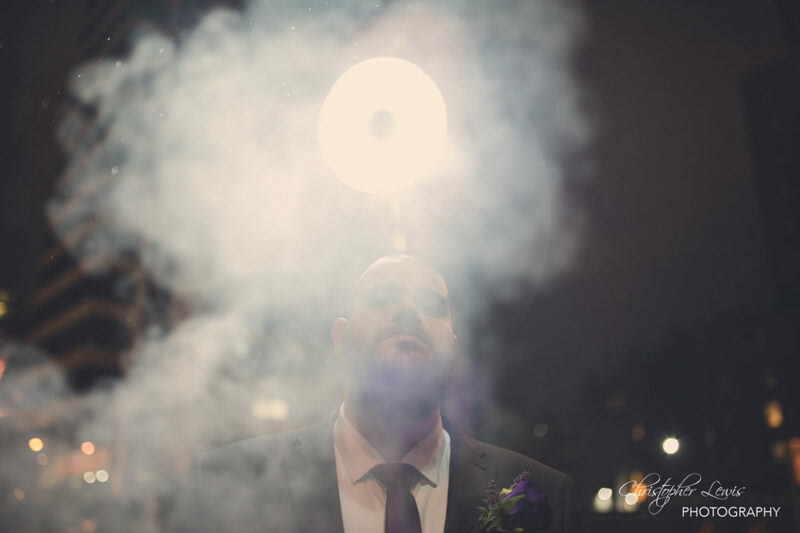 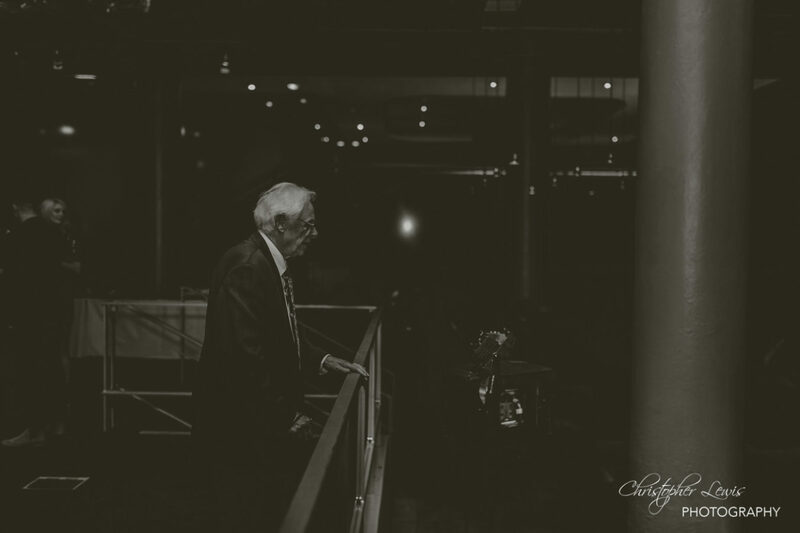 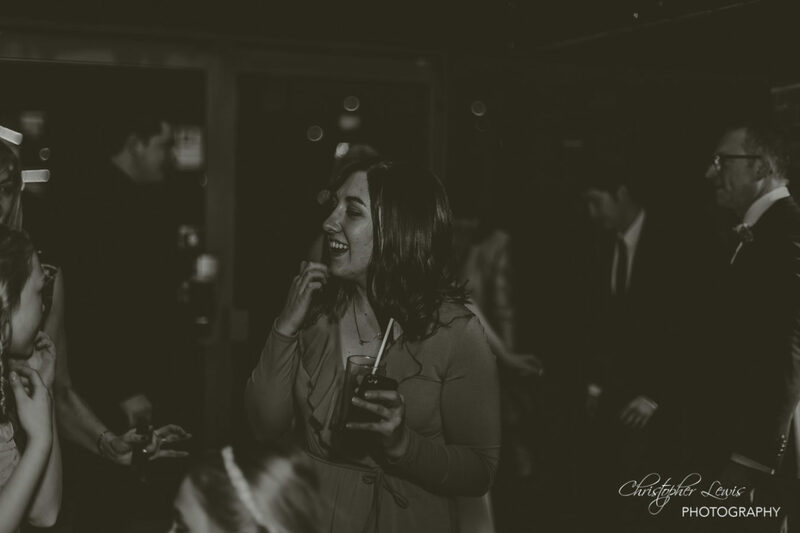 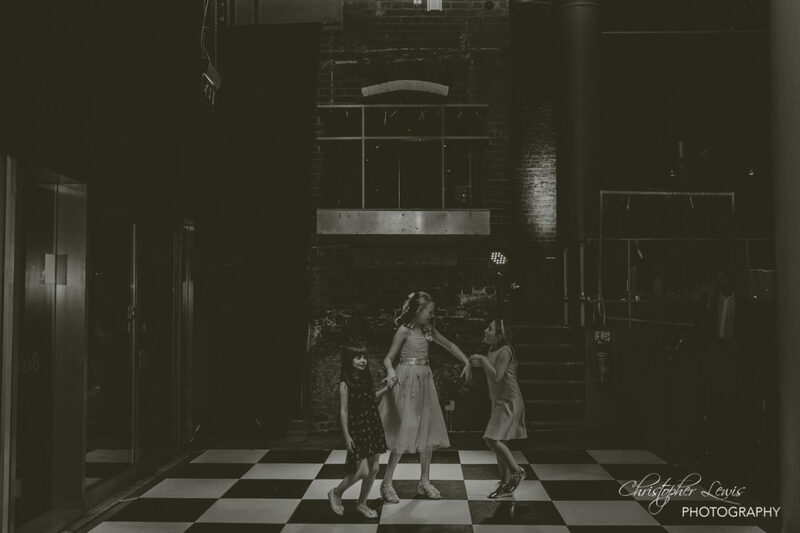 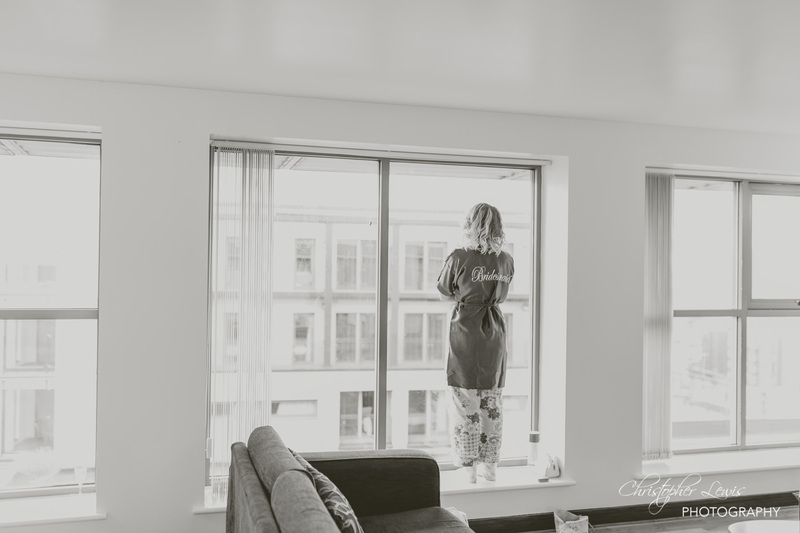 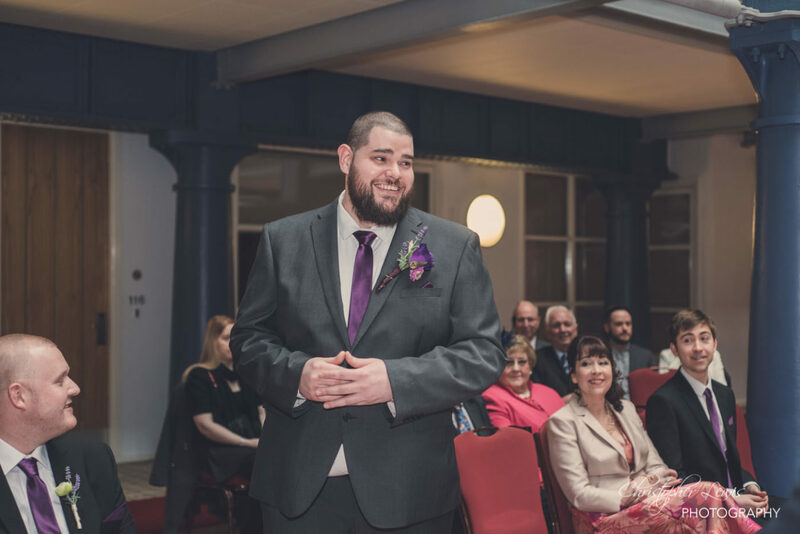 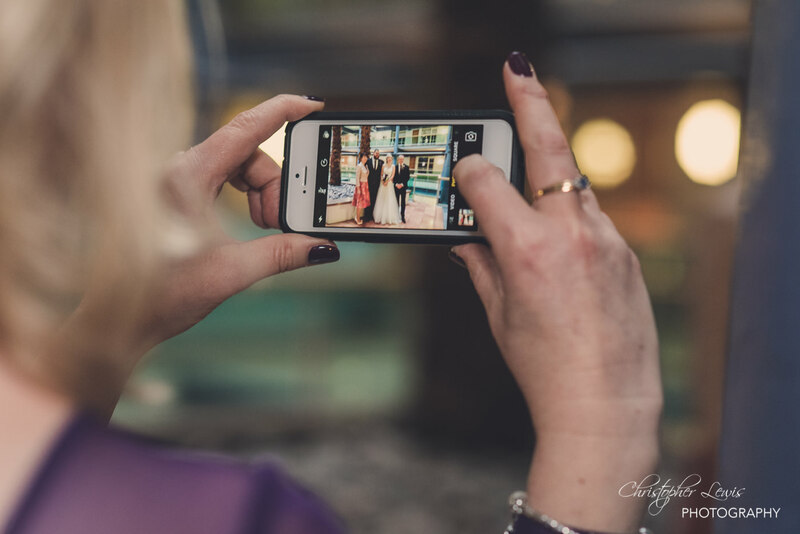 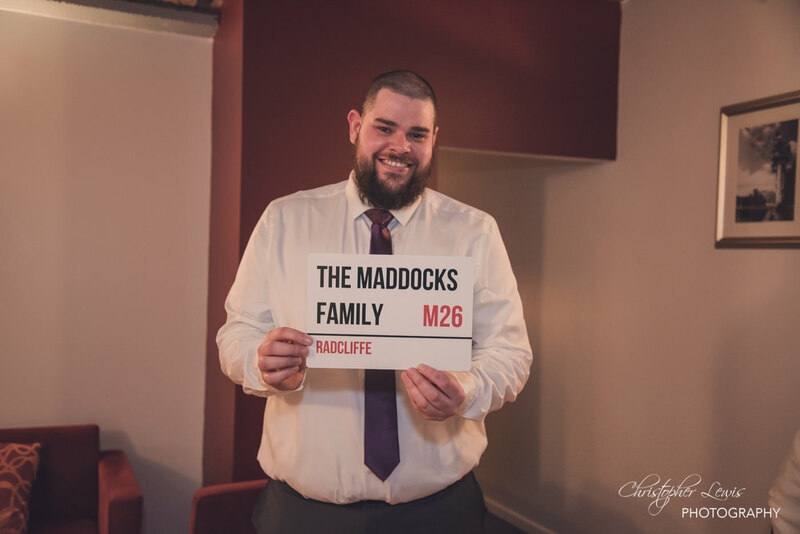 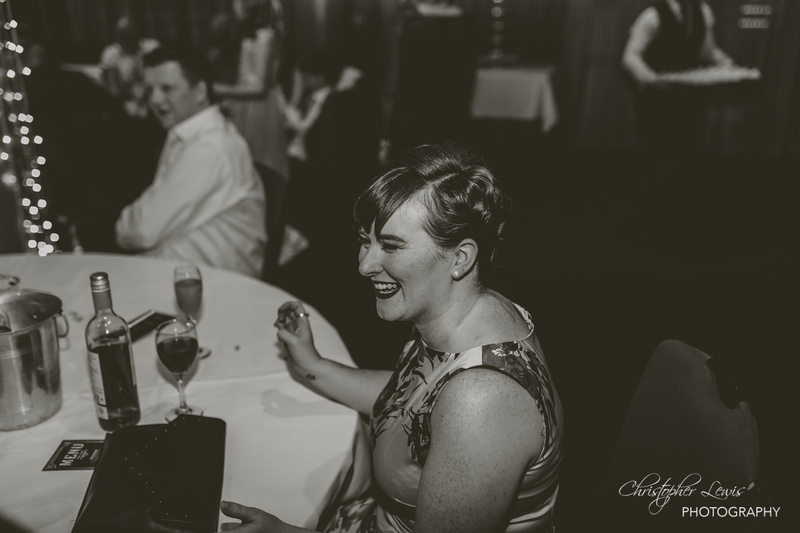 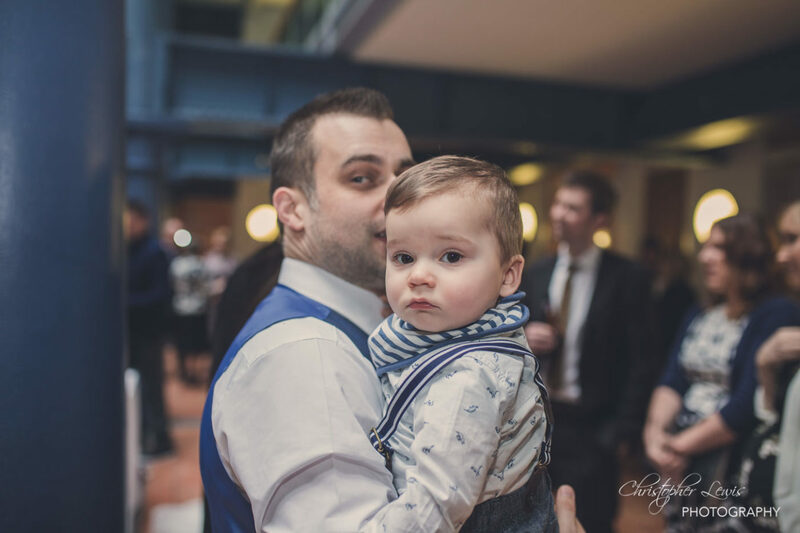 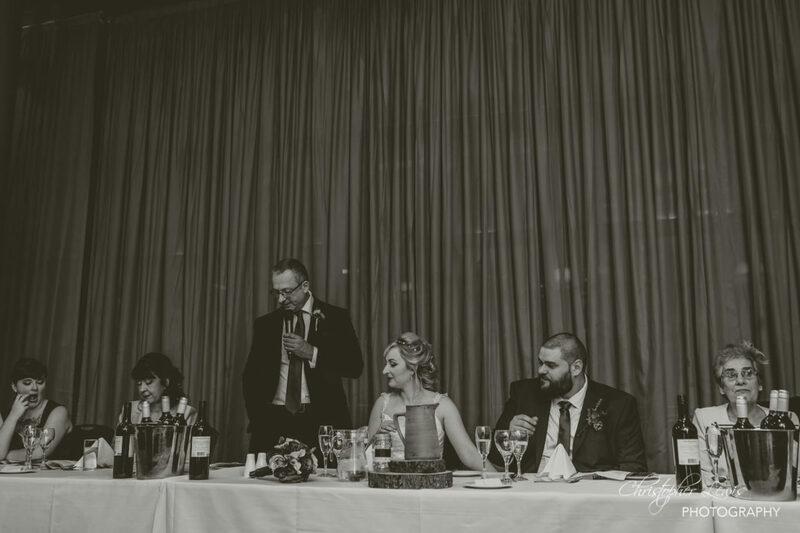 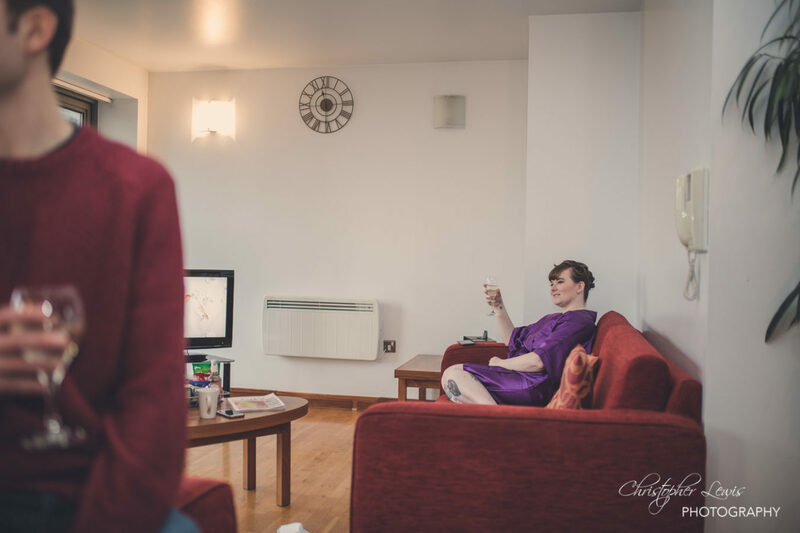 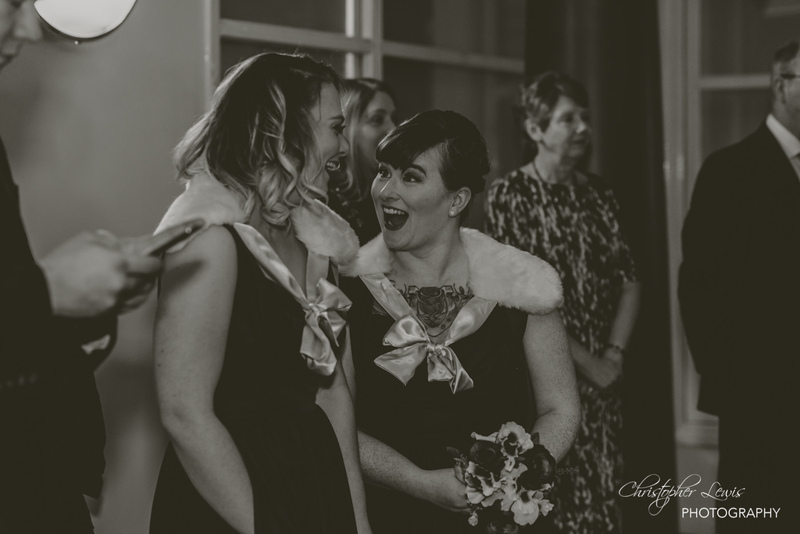 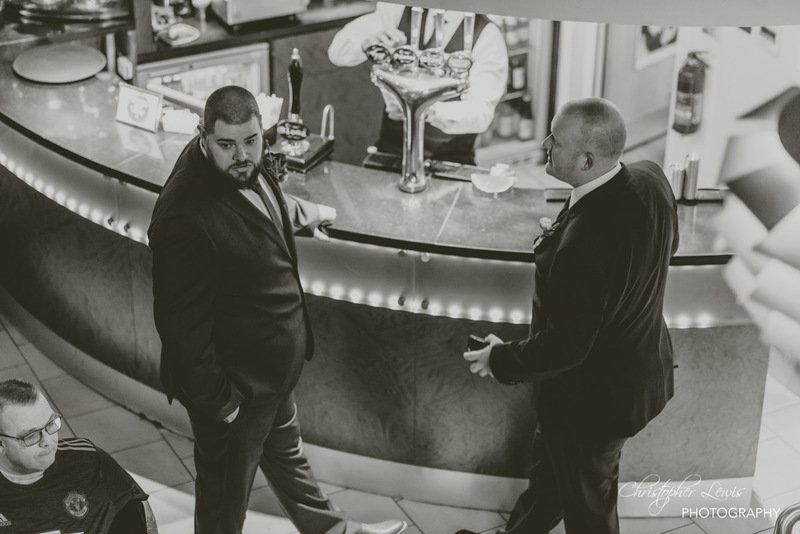 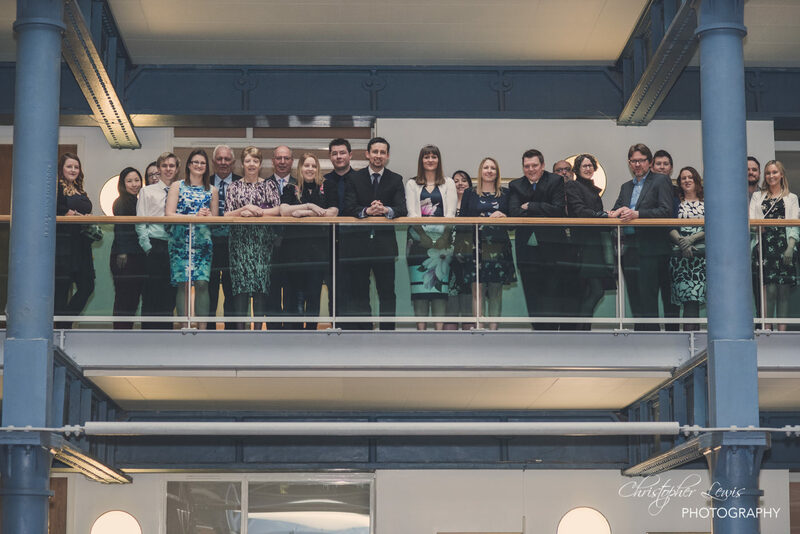 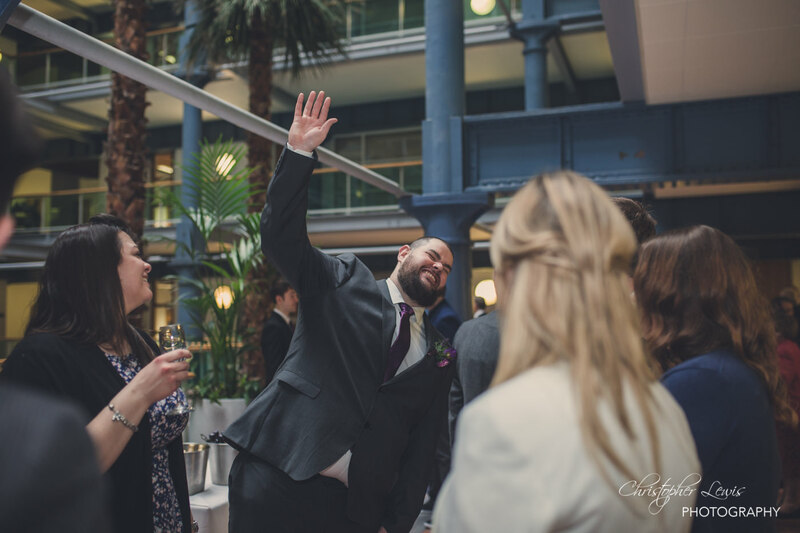 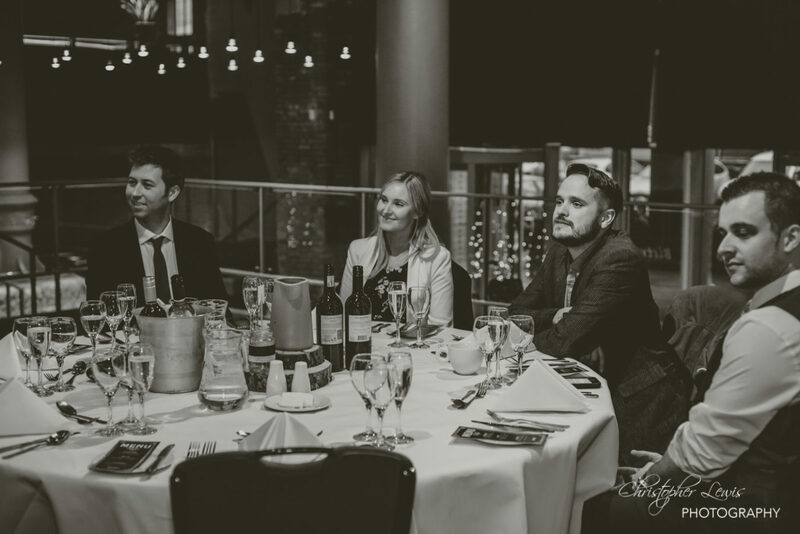 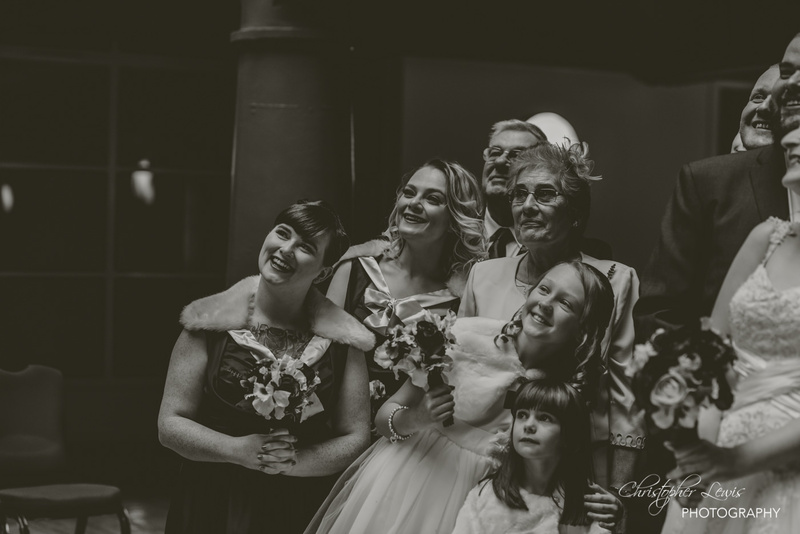 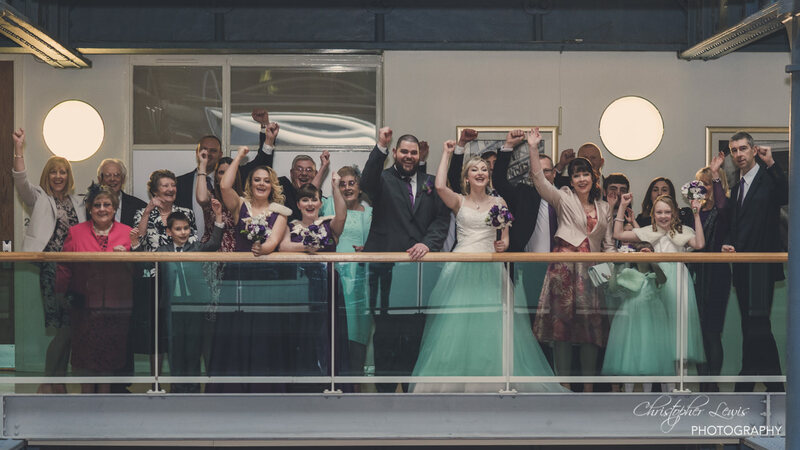 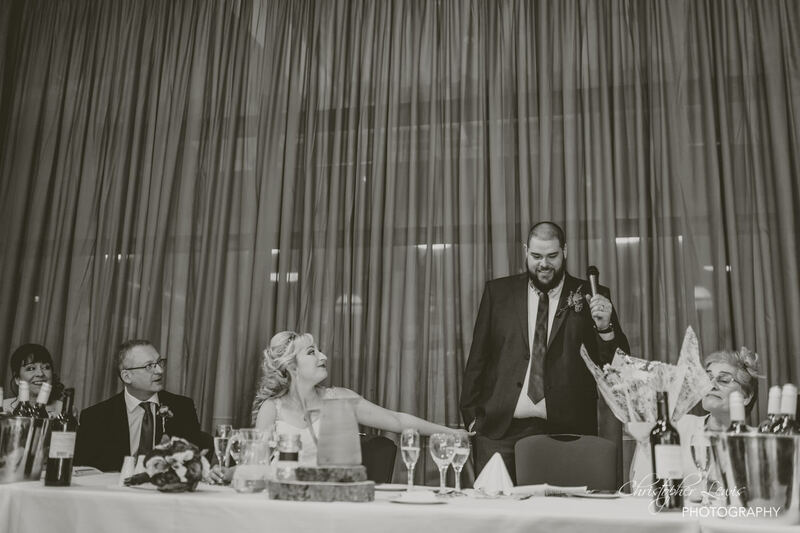 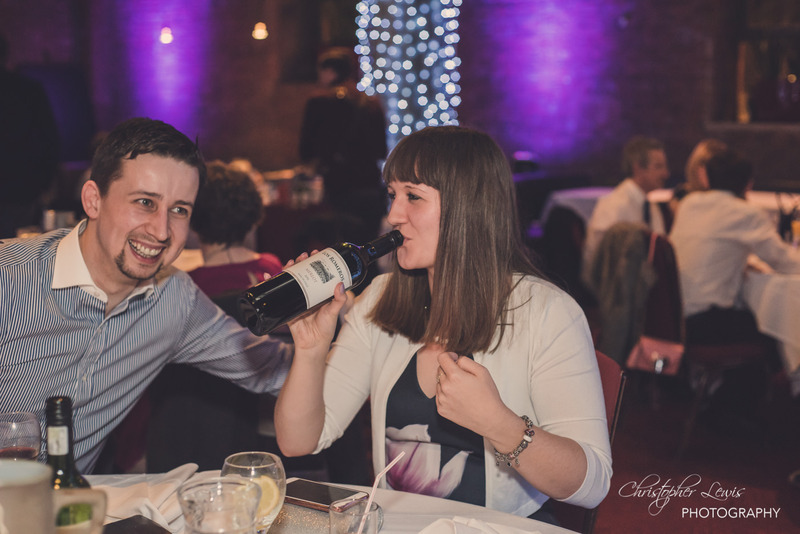 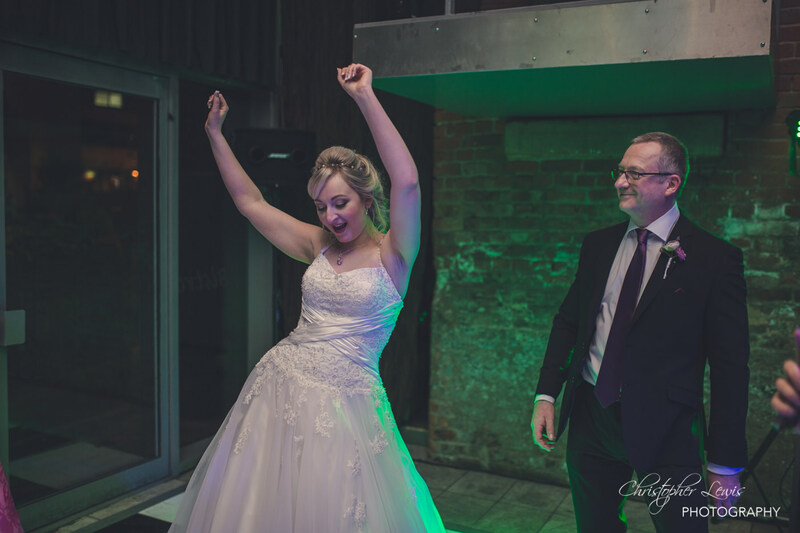 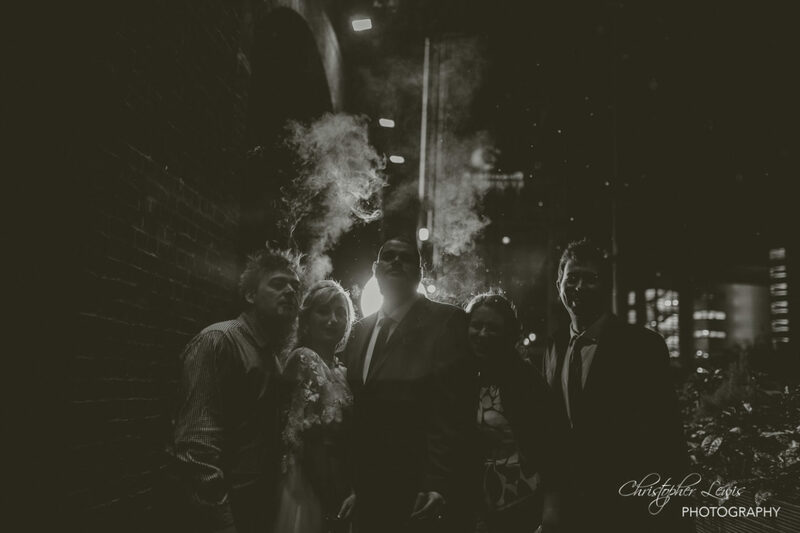 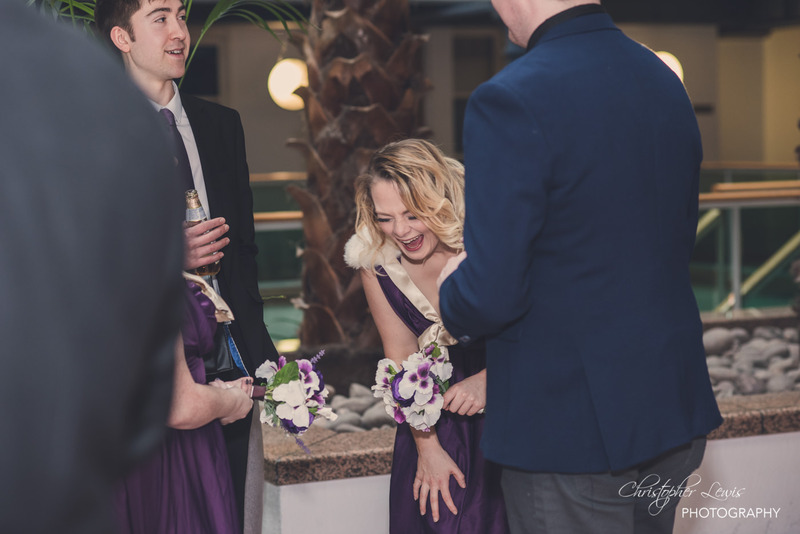 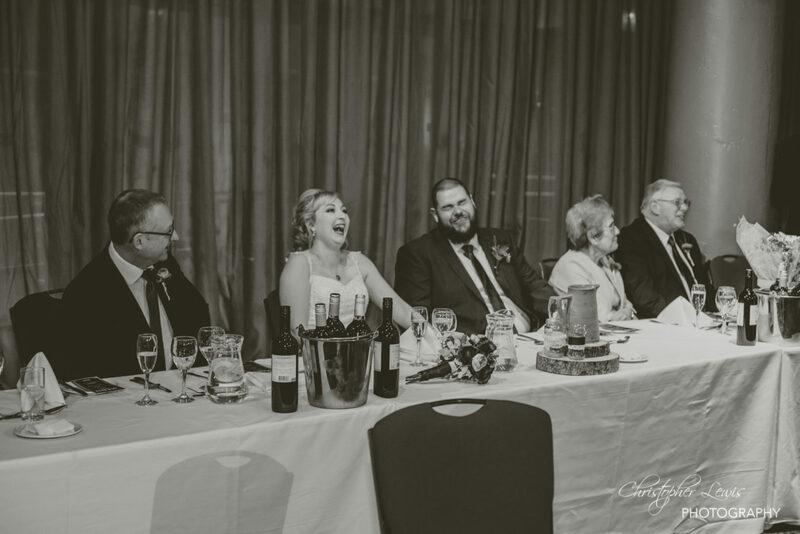 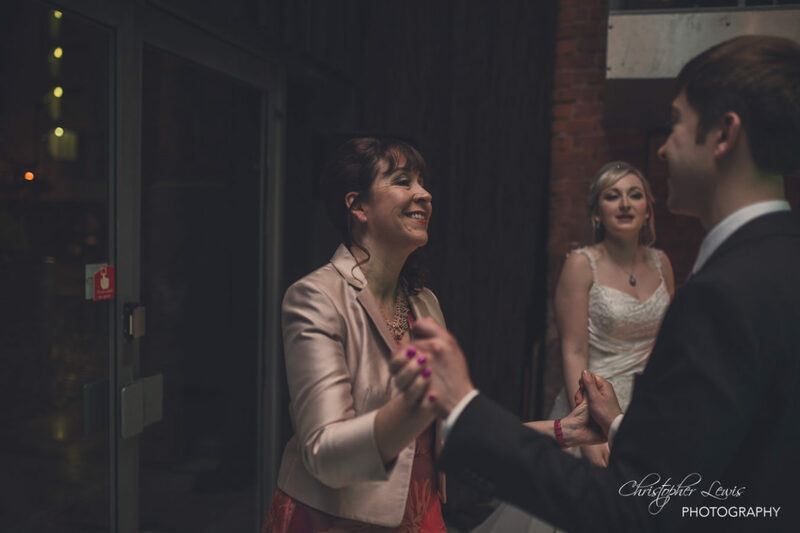 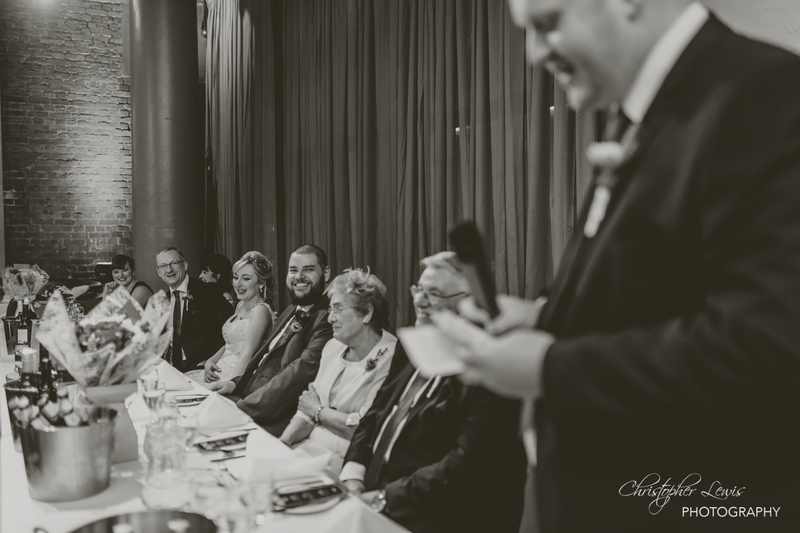 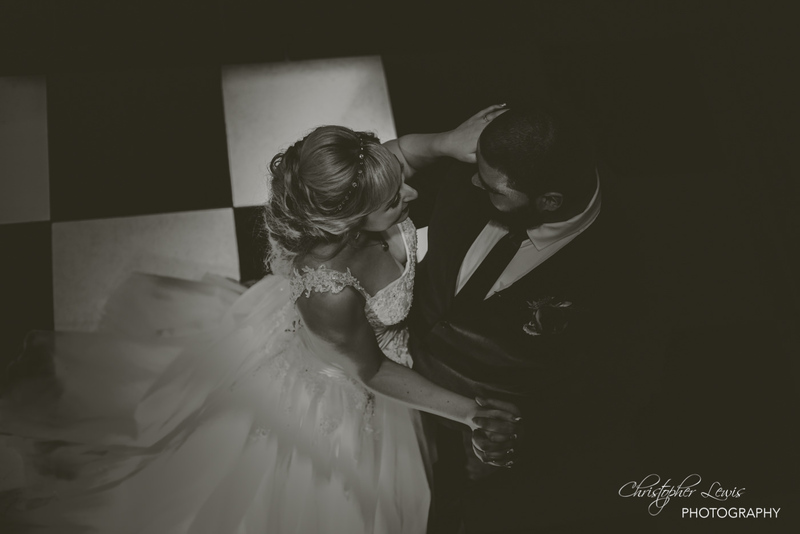 With Chris and Rachael’s wedding I found the images the perfect example of how we capture the natural moments between family and friends throughout the day. 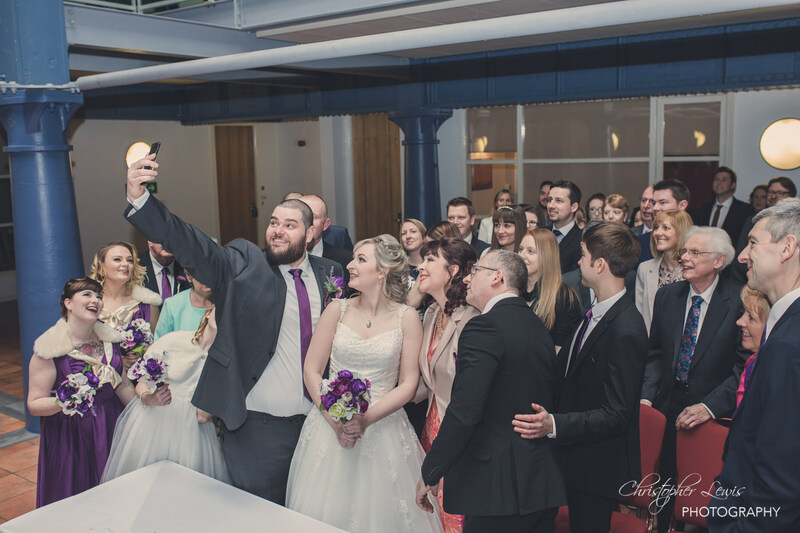 The ceremony included a guest selfie, with me being trusted with the grooms new phone over a water fountain (at his own risk, might I add!) 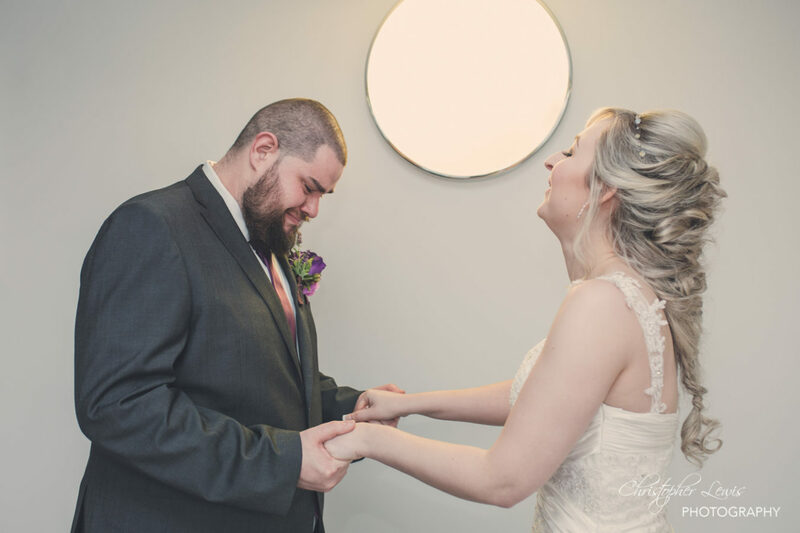 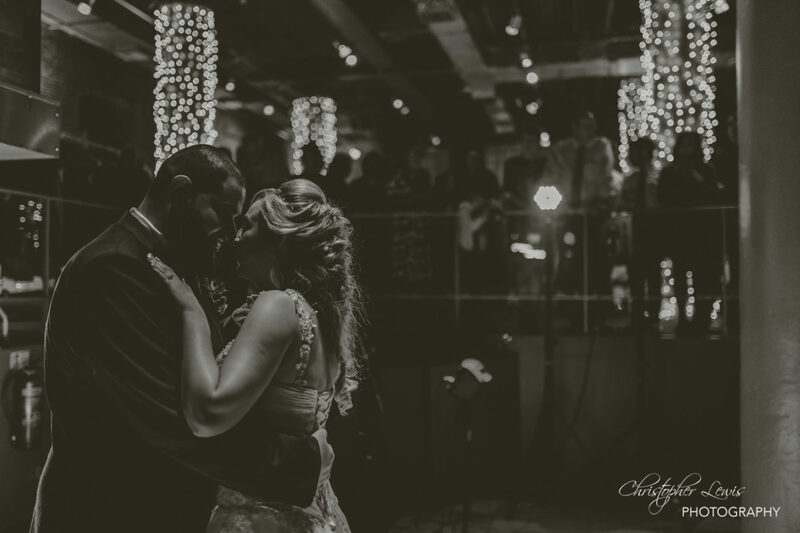 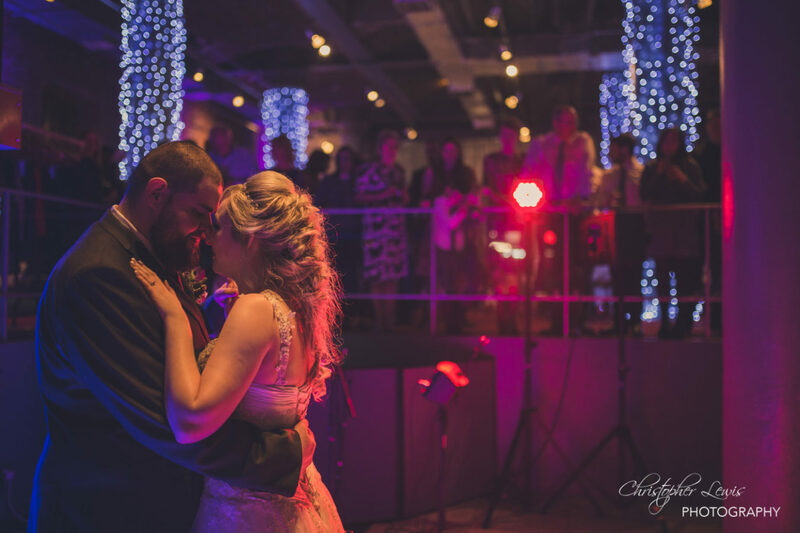 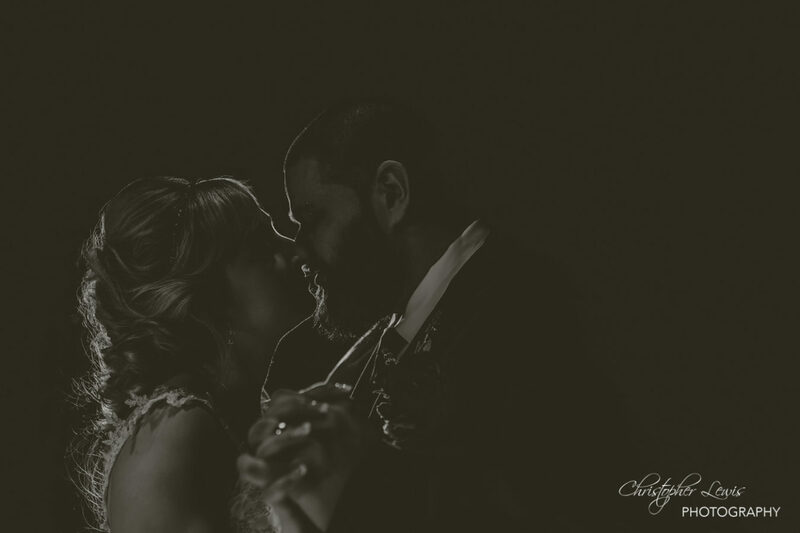 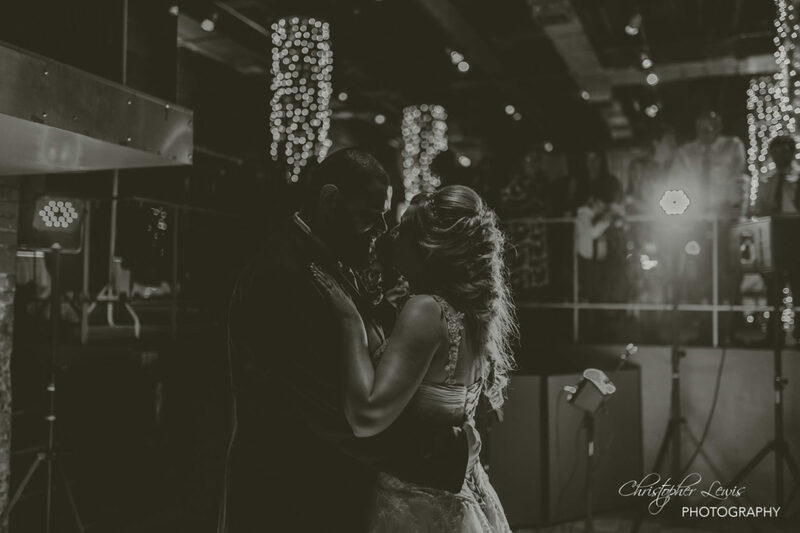 Through emotional speeches, TWO dresses (for Rachael, in case you’re wondering) and a beautiful first dance, this was an awesome day that I was so glad they picked me to photograph it for them. 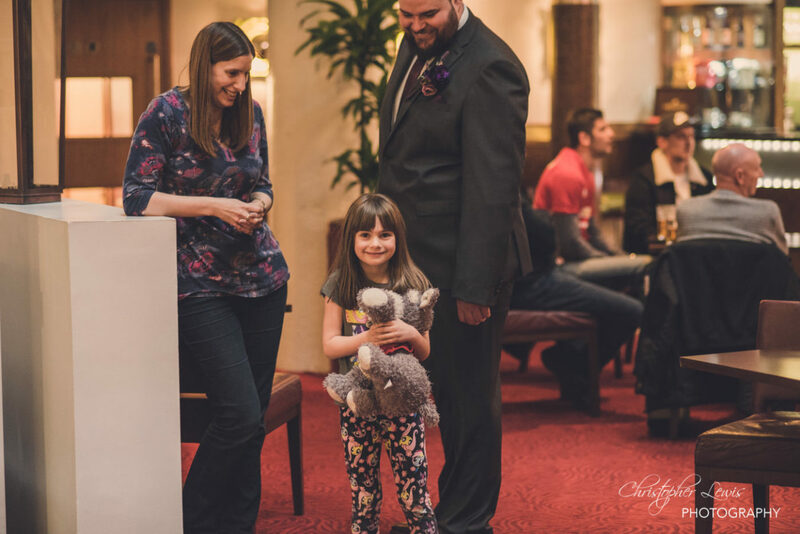 Their day most importantly showed their personalities, from the apple themed table names (which is where they met 6 years ago) and the amazing lego-topped cake and cupcakes from Just Gorjuss Cakes, you could see the thought and consideration. 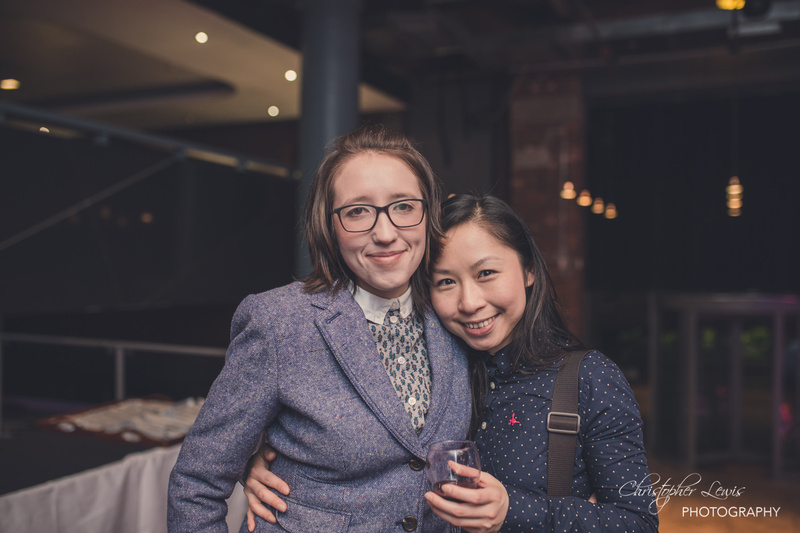 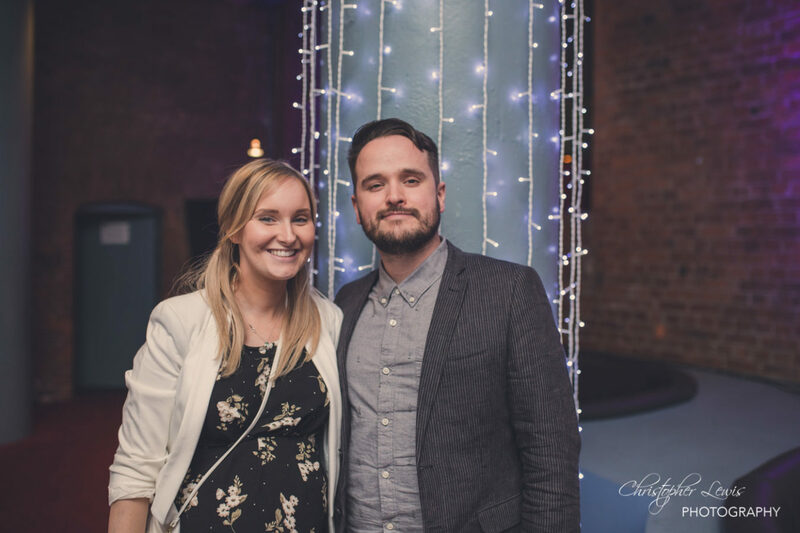 To think I met this couple two years ago, in a coffee shop on Deansgate, Manchester (sidenote: check out PKB!) and immediately knowing they were my kind of couple, cracking dirty jokes and talking about culture and tattoos. 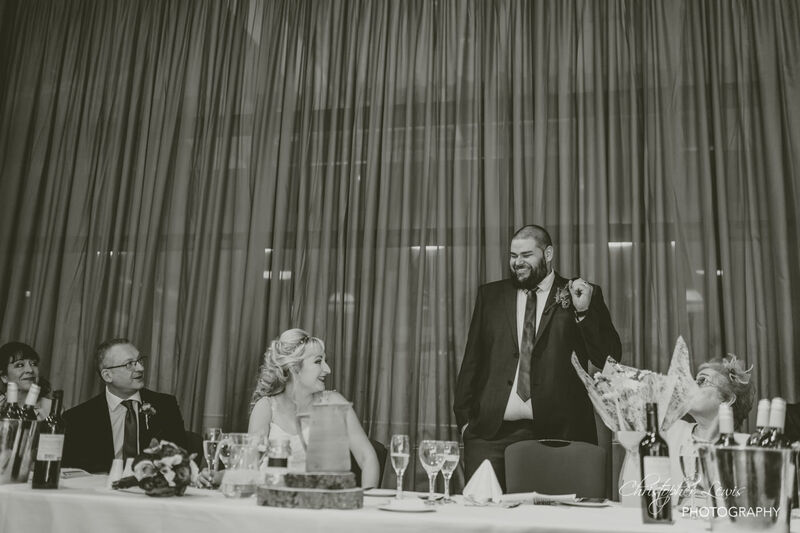 I’m glad to call these guys friends long after their wedding, even if it’s mainly cause Chris cooks a mean Bhuna! Thanks guys, you were epic.